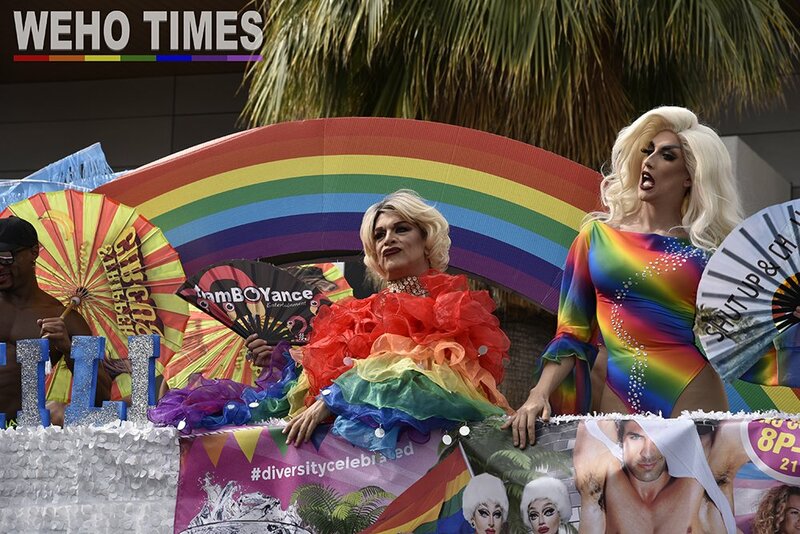 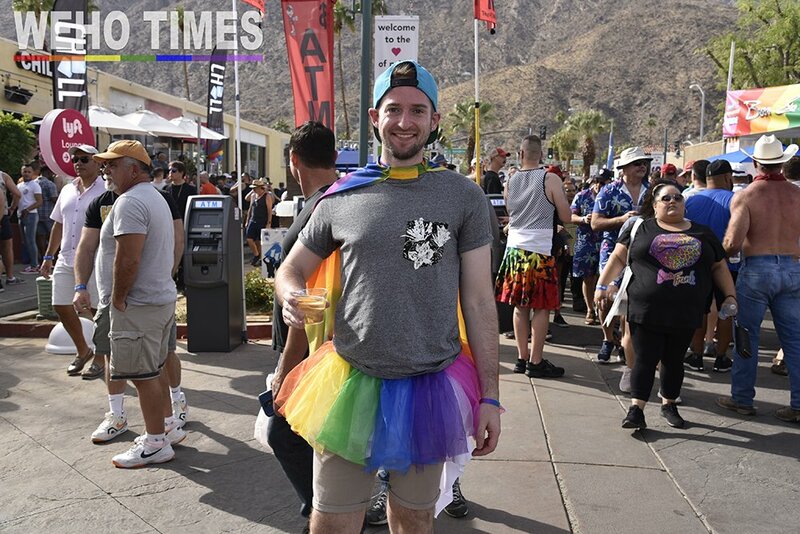 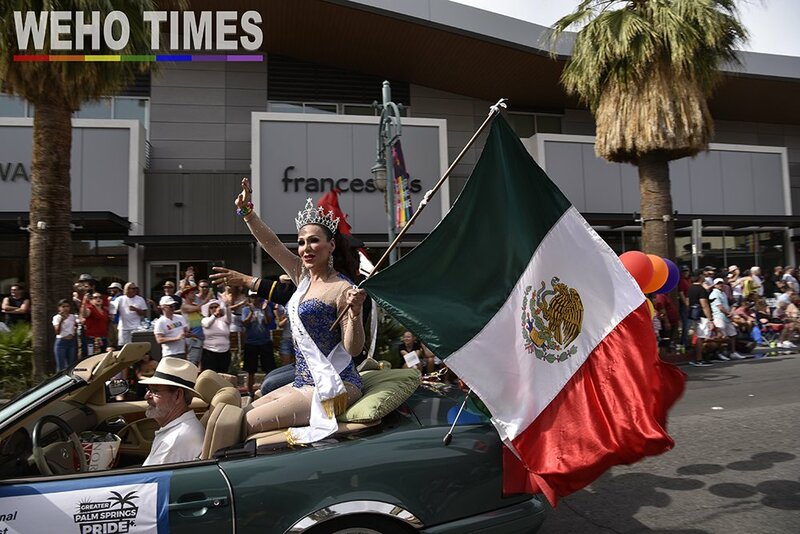 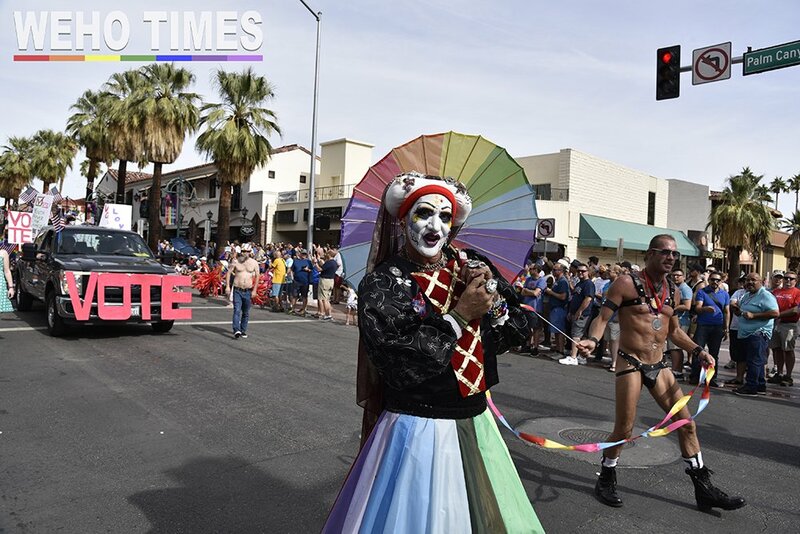 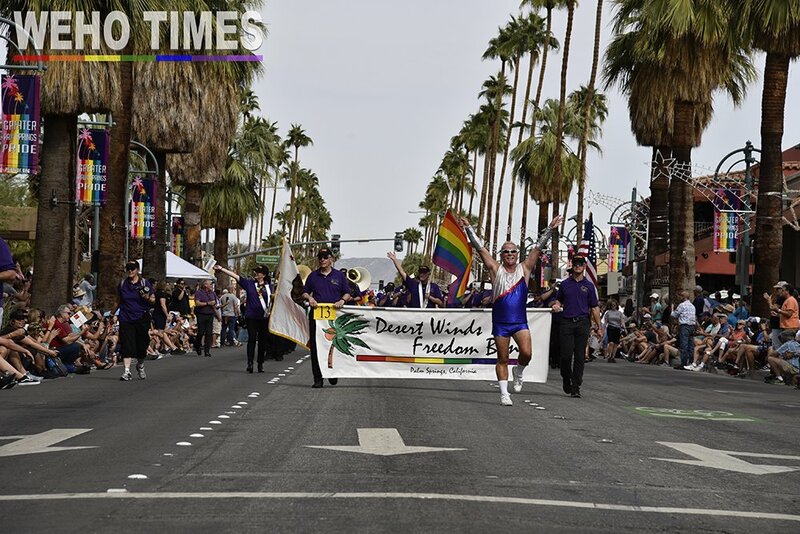 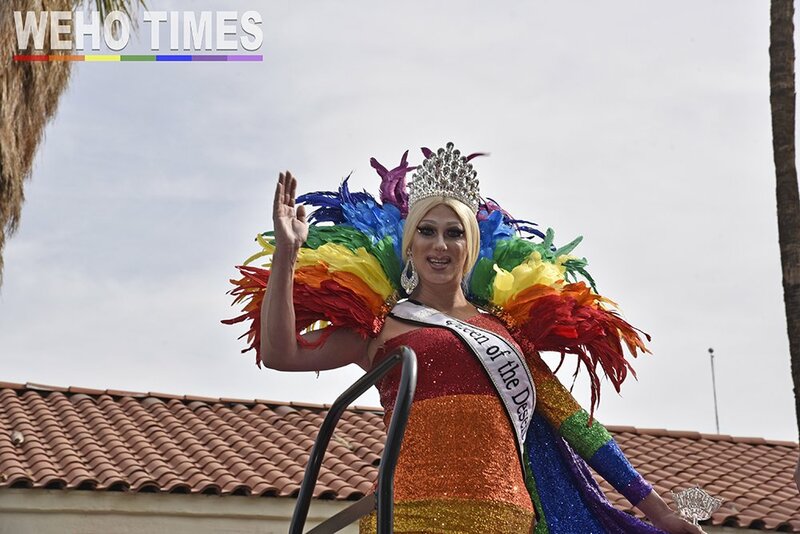 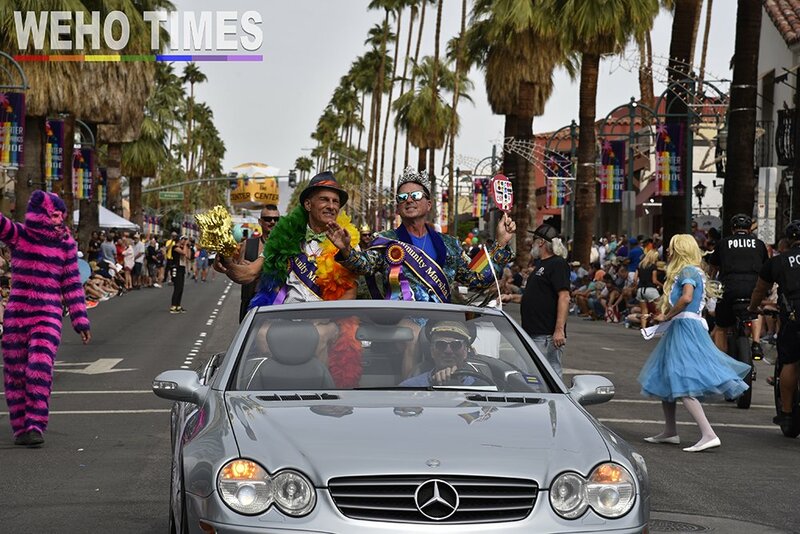 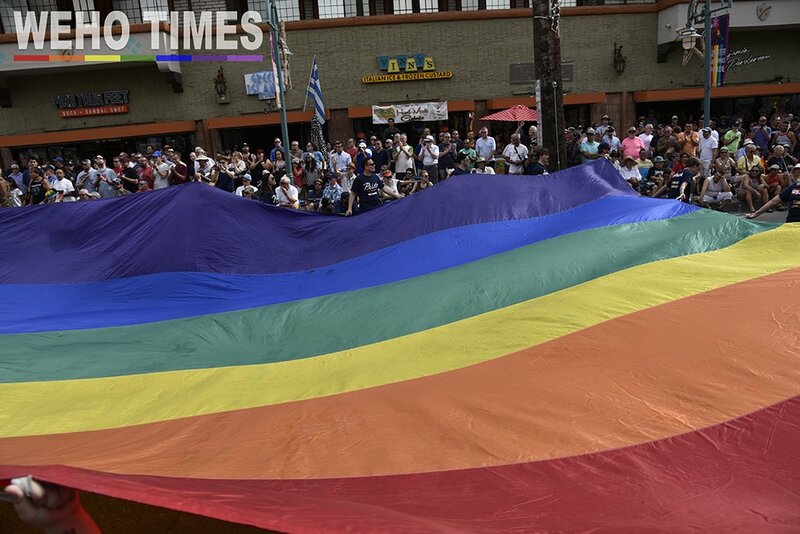 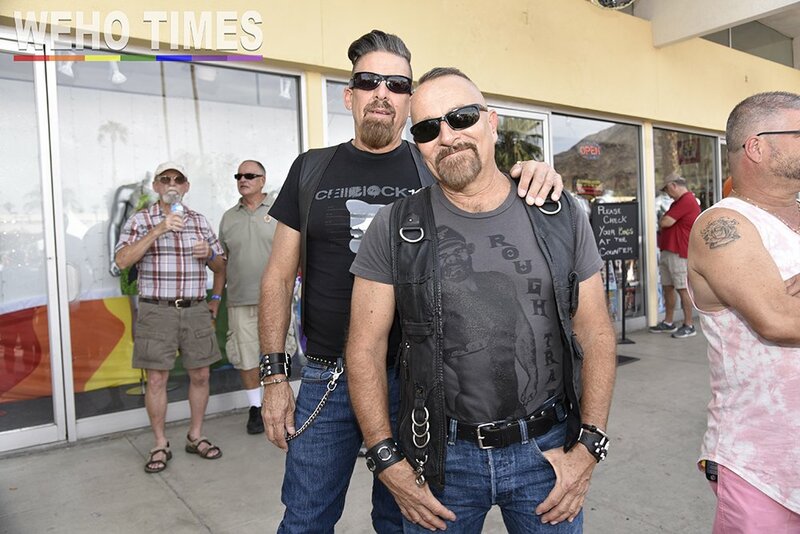 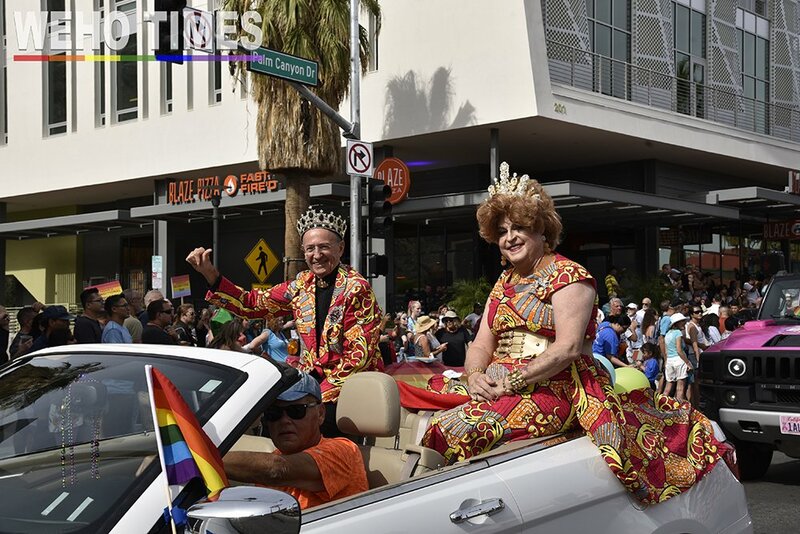 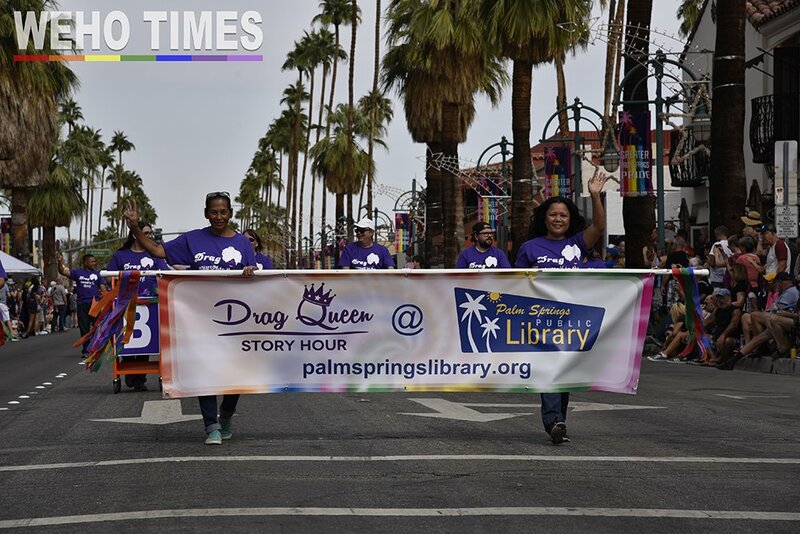 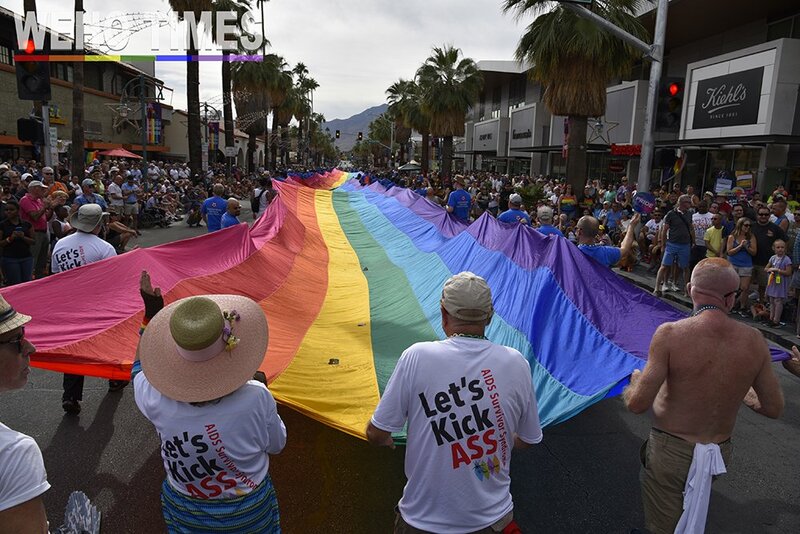 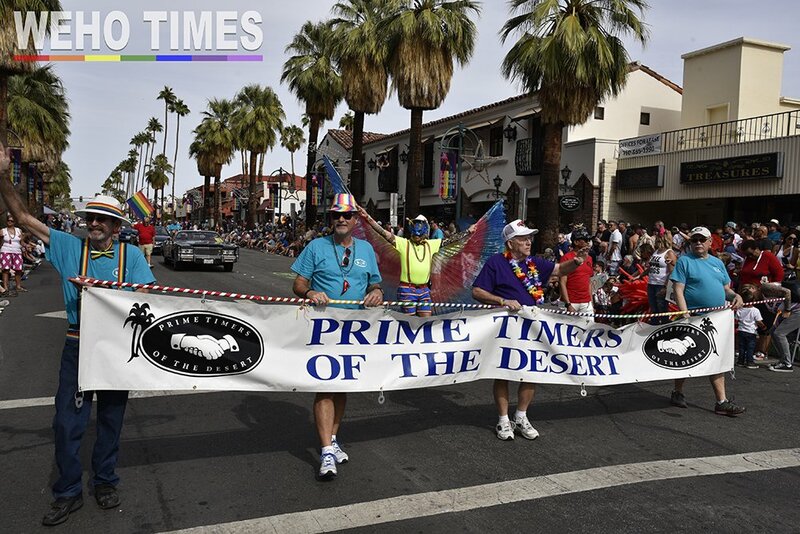 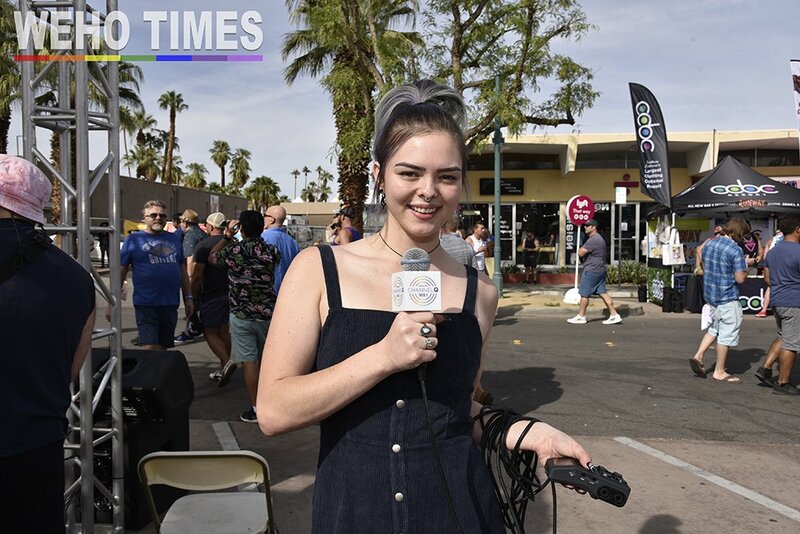 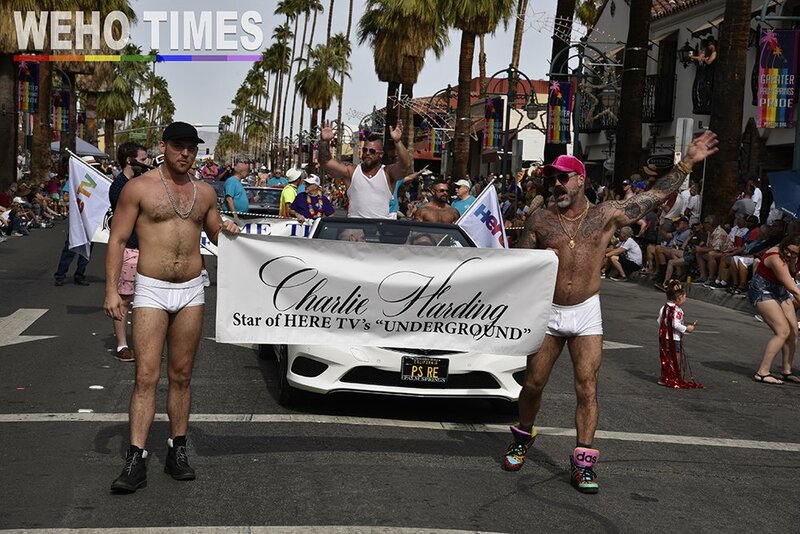 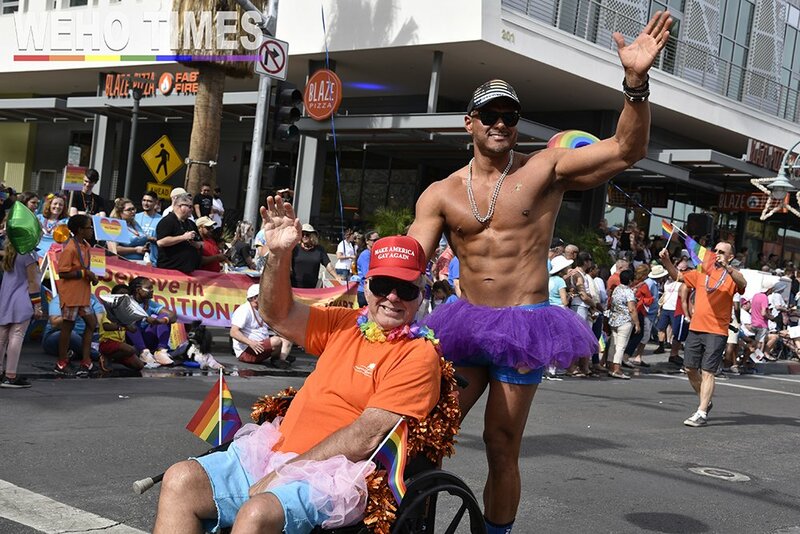 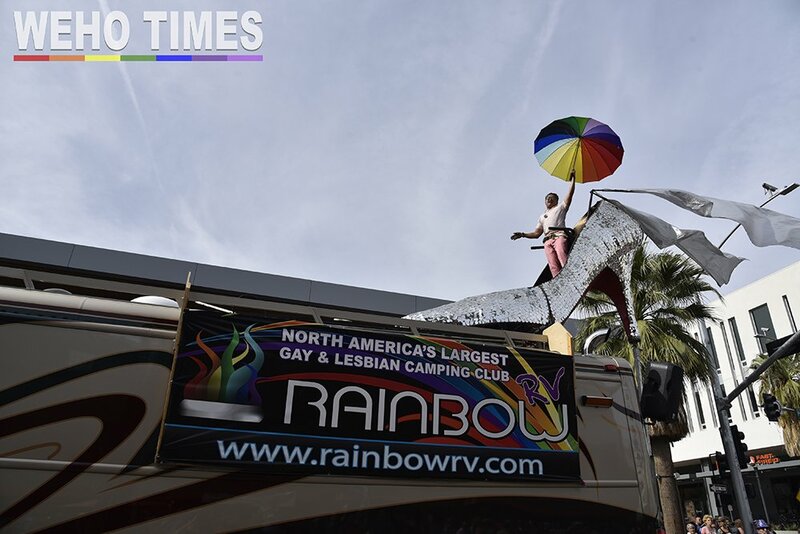 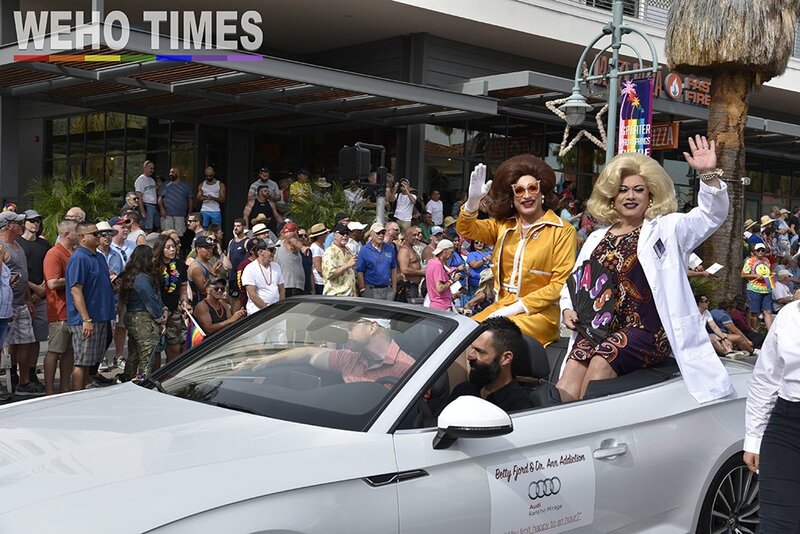 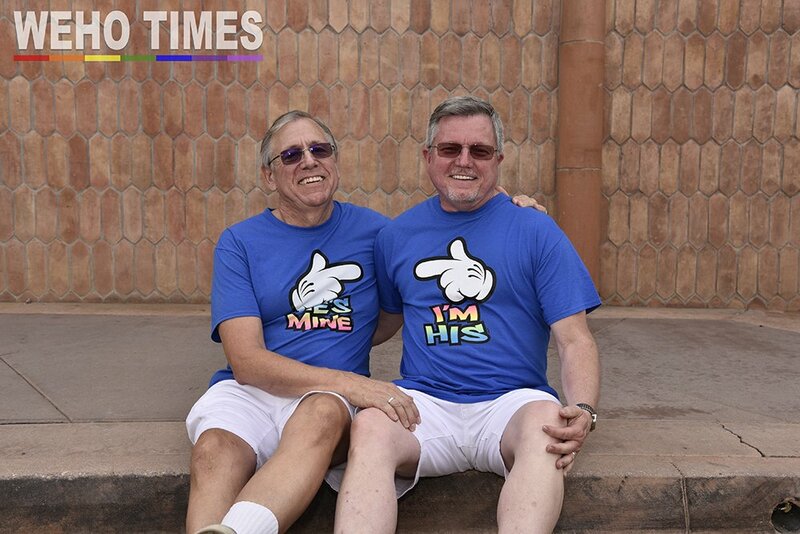 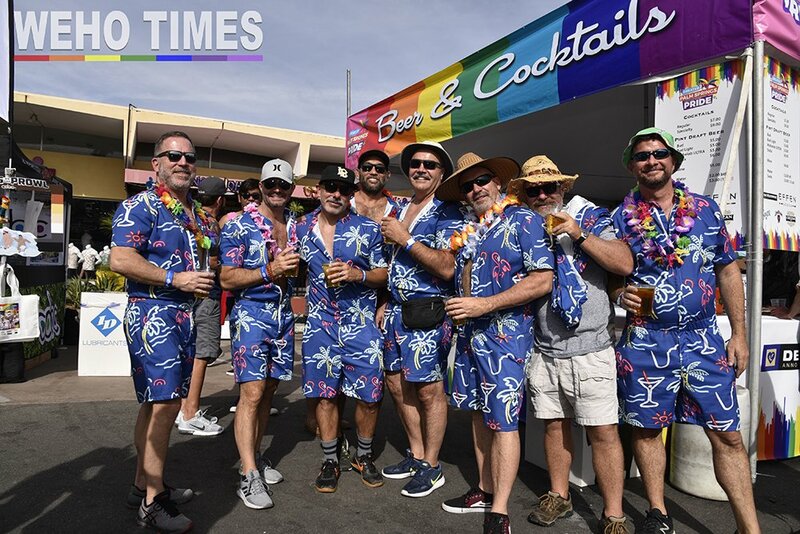 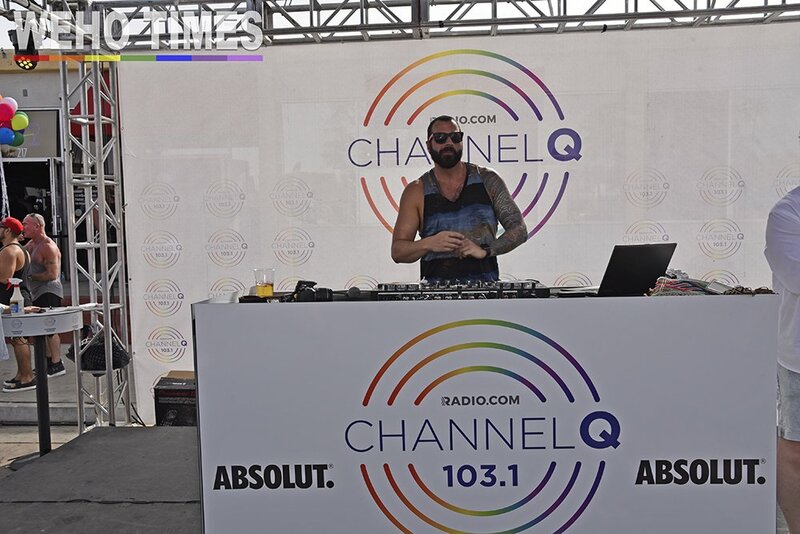 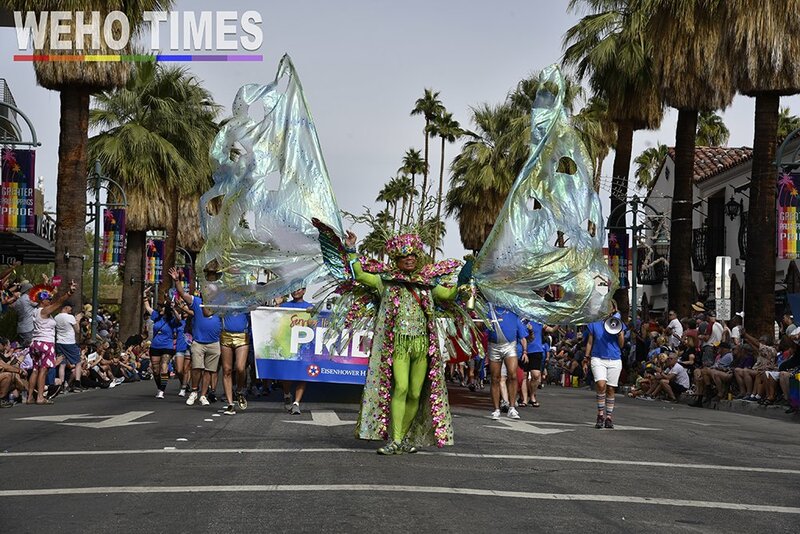 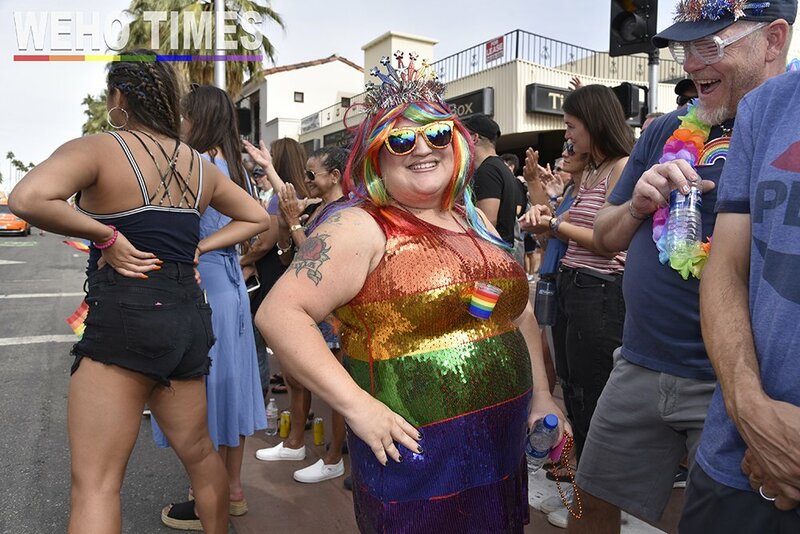 Thousands descended upon the desert town of Palm Springs California for this year’s Palm Springs Pride 2018 celebration. 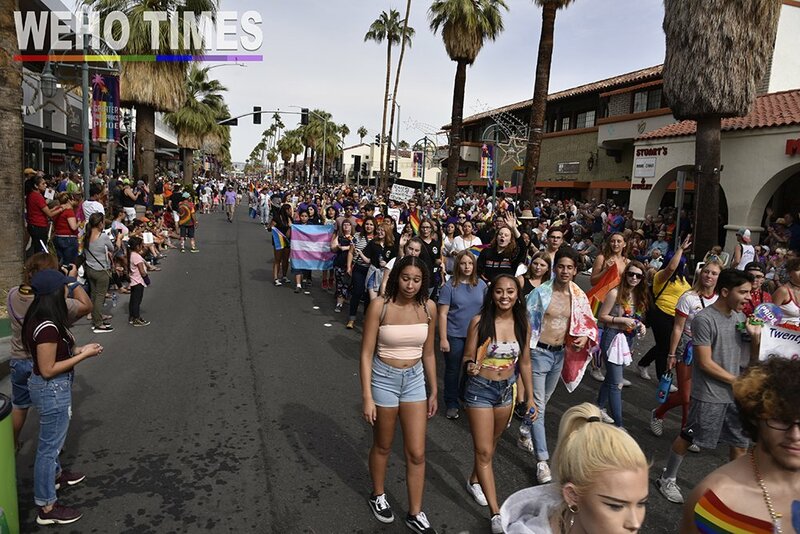 The annual LGBTQ+ parade was an oasis of rainbow colors as far as the eye could see. 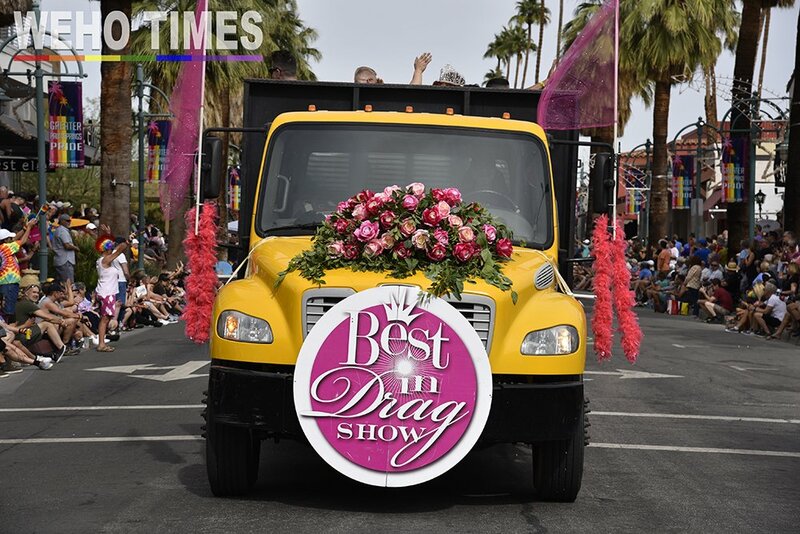 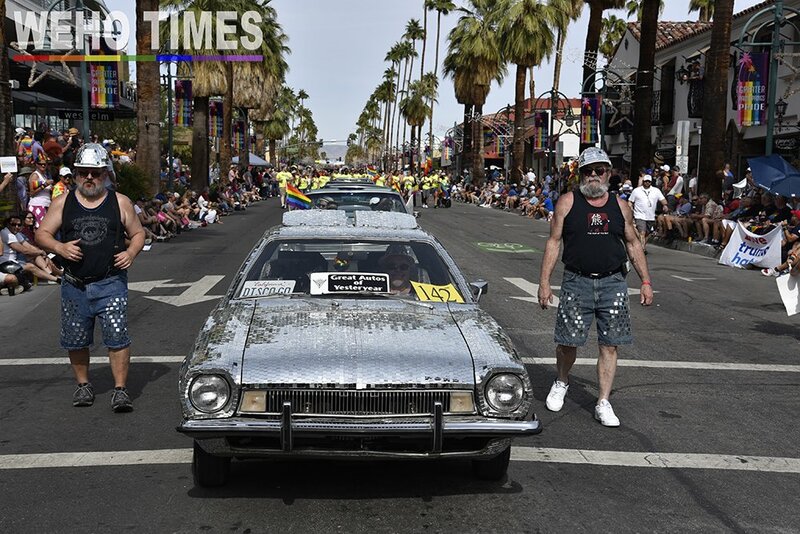 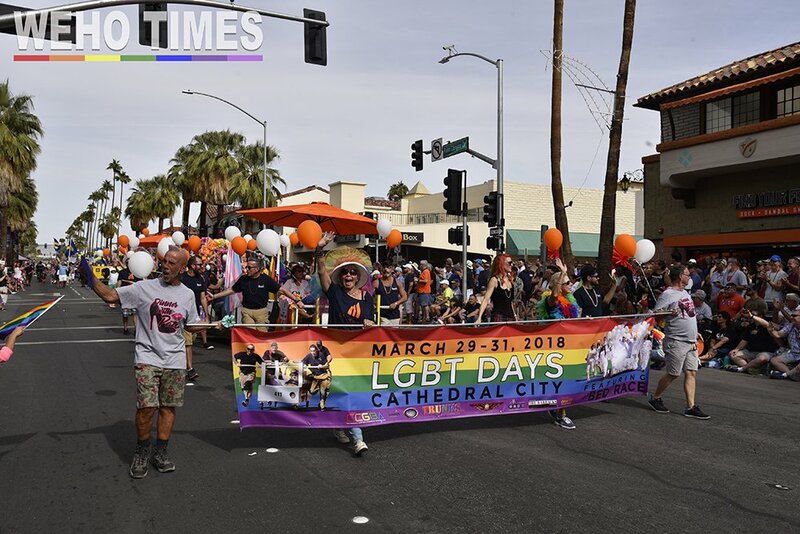 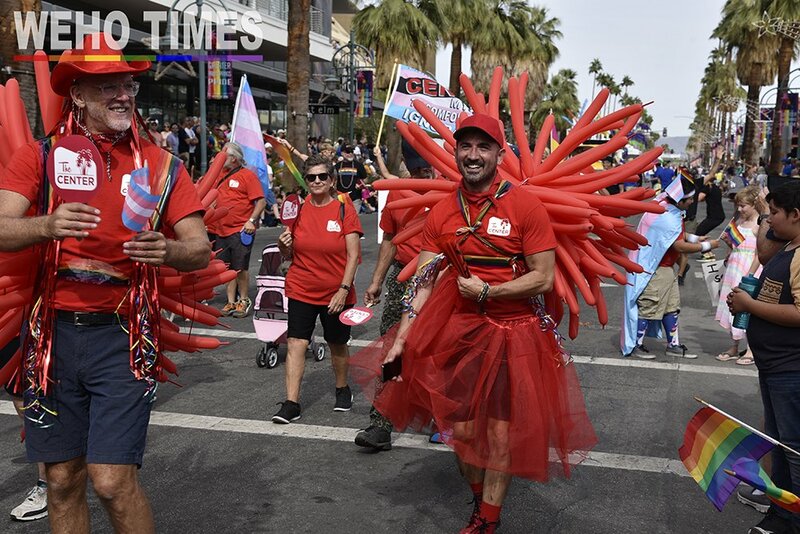 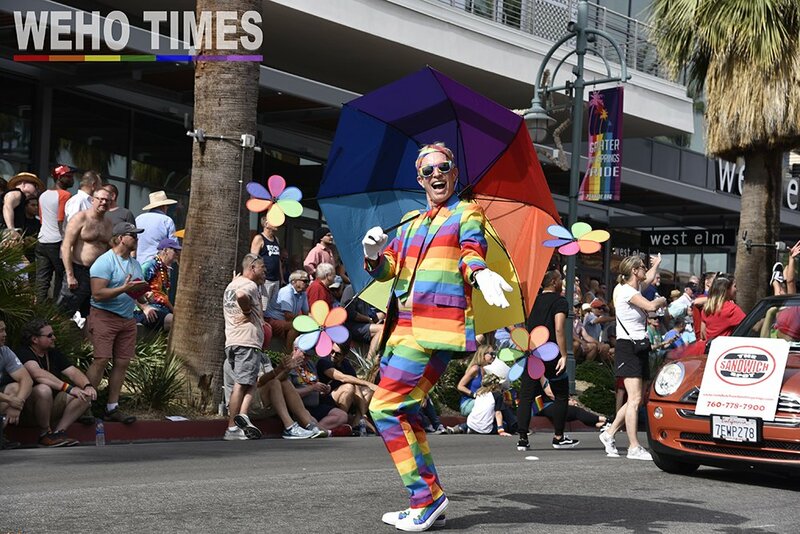 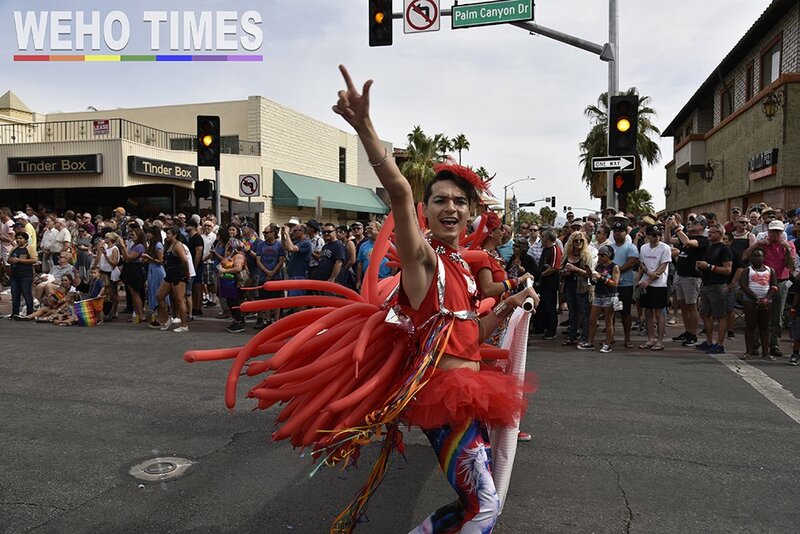 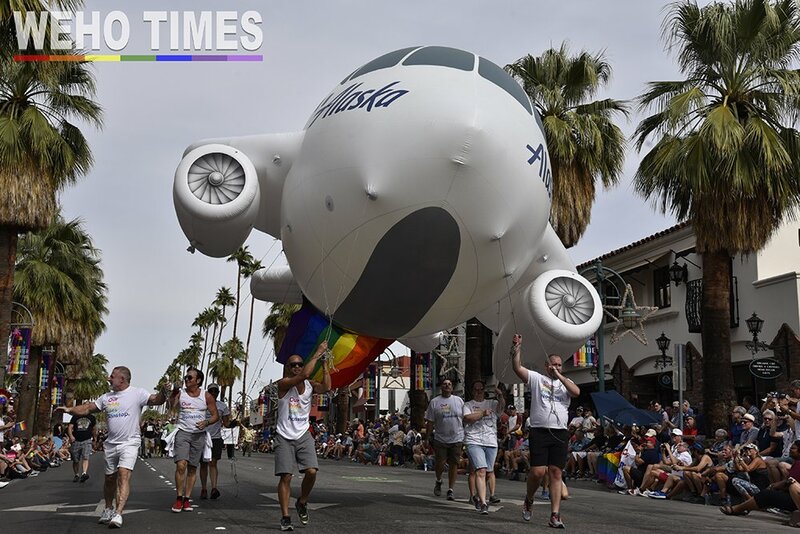 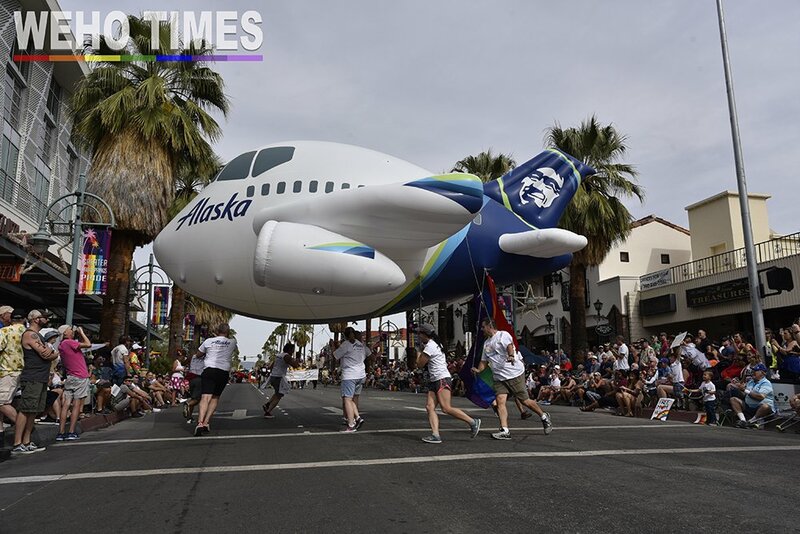 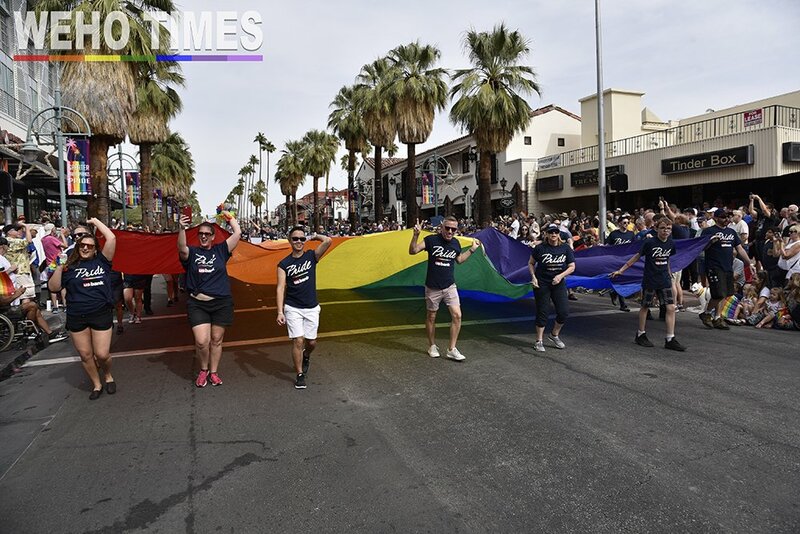 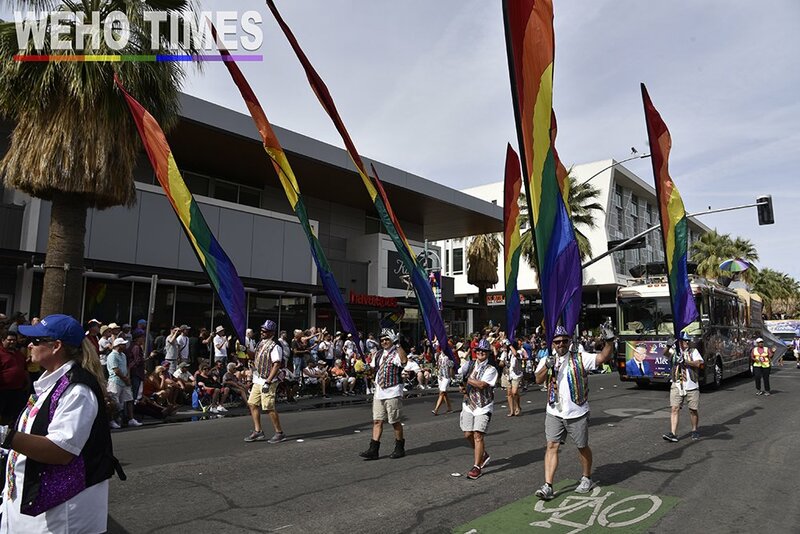 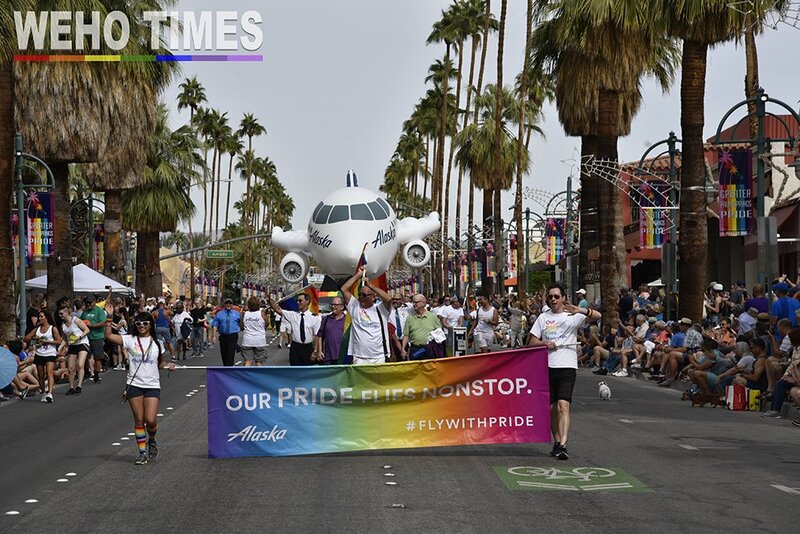 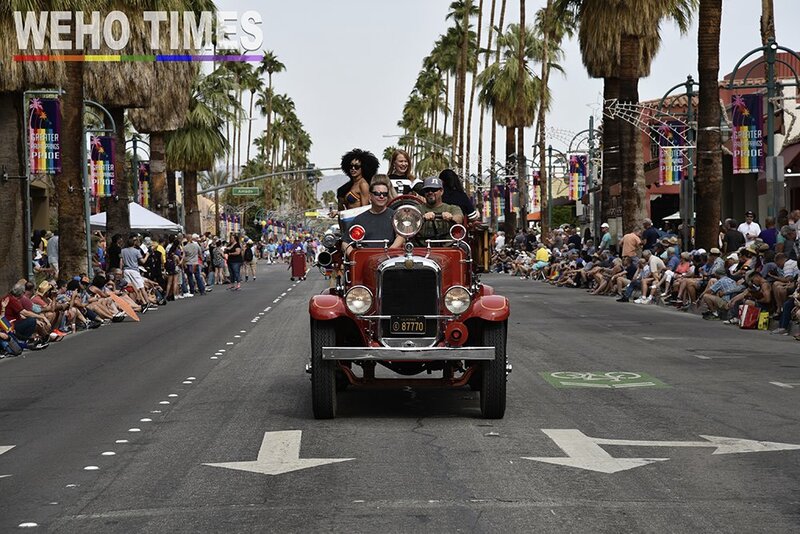 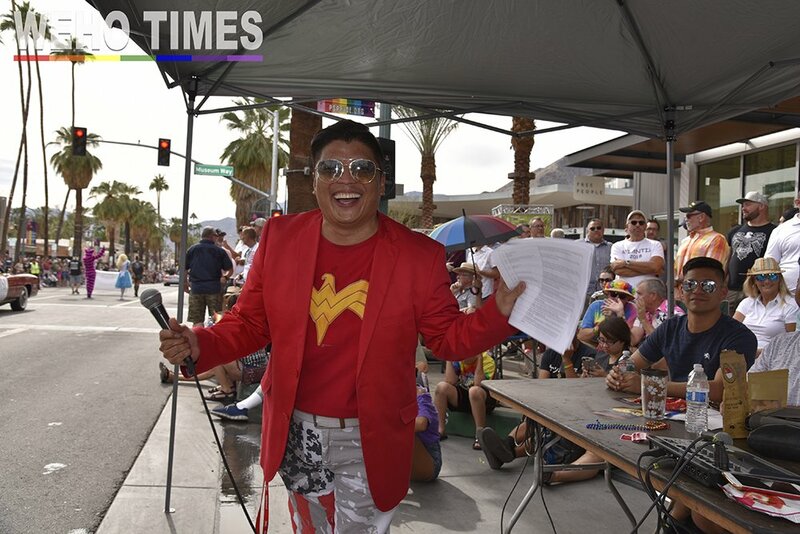 It stretched for two miles down Canyon Drive in downtown Palm Springs, stepping off in the Uptown Design District at Tachevah and Palm Canyon Dr. and traveling south through downtown, ending at the entrance to the Pride Festival at Museum Way. 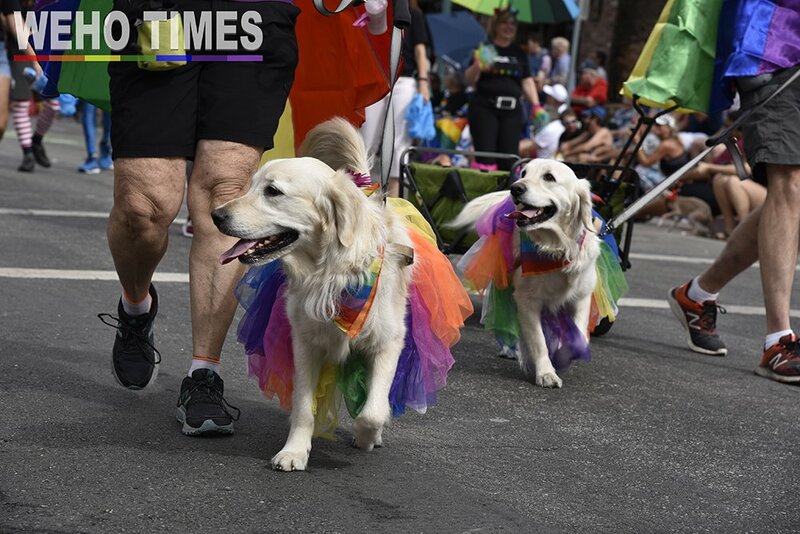 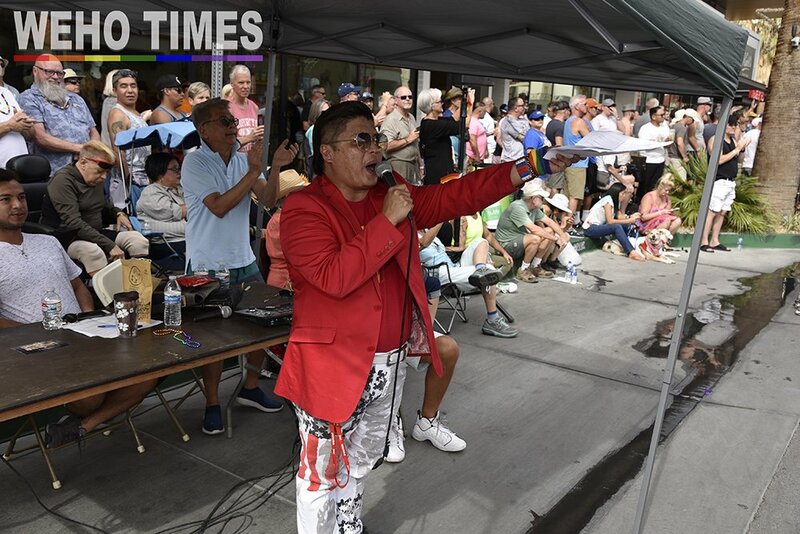 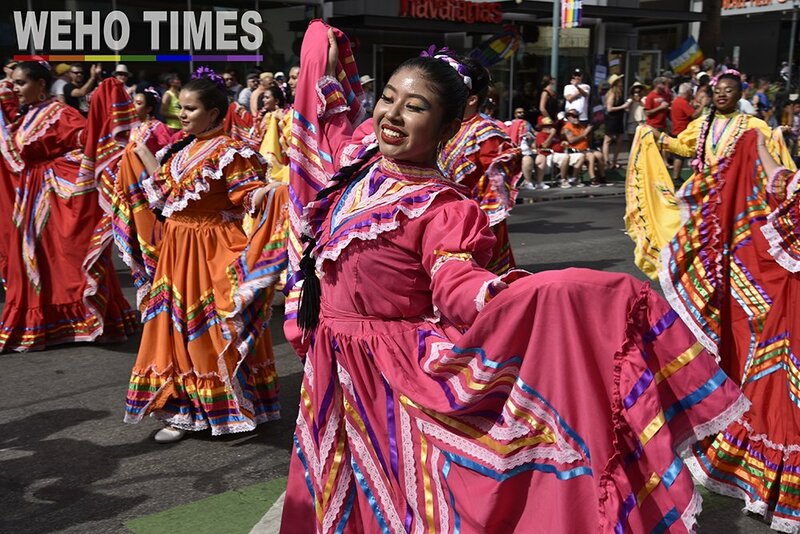 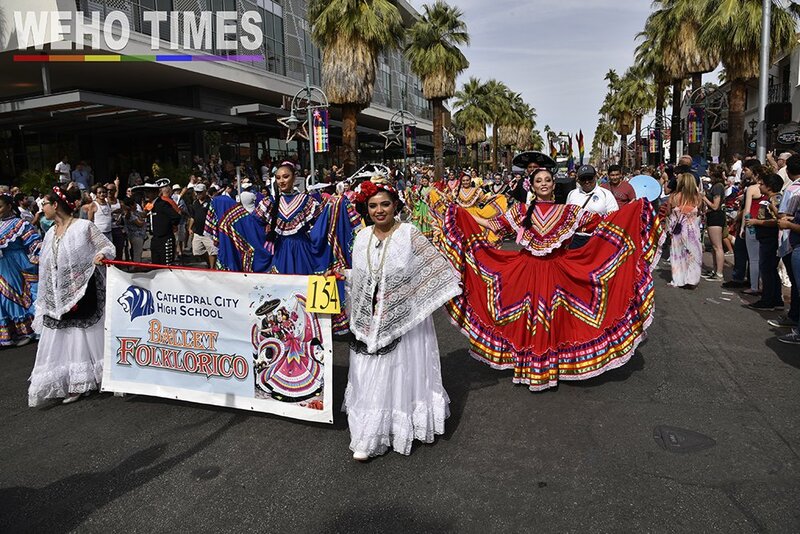 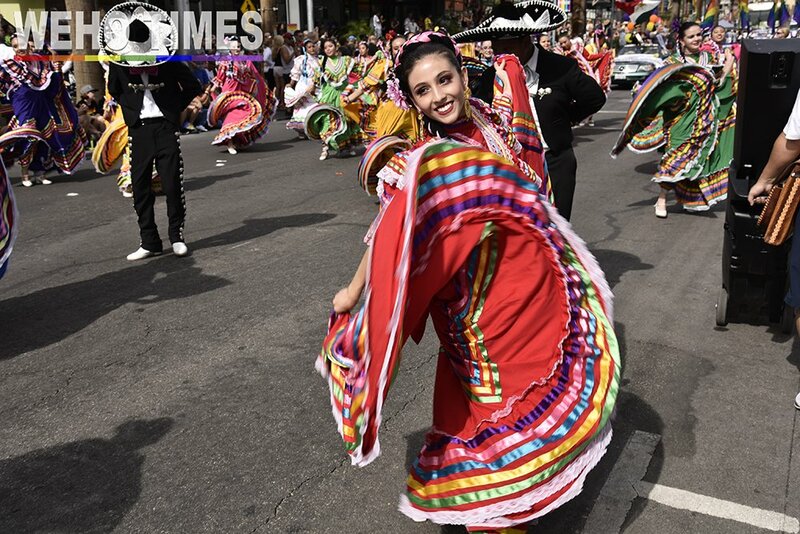 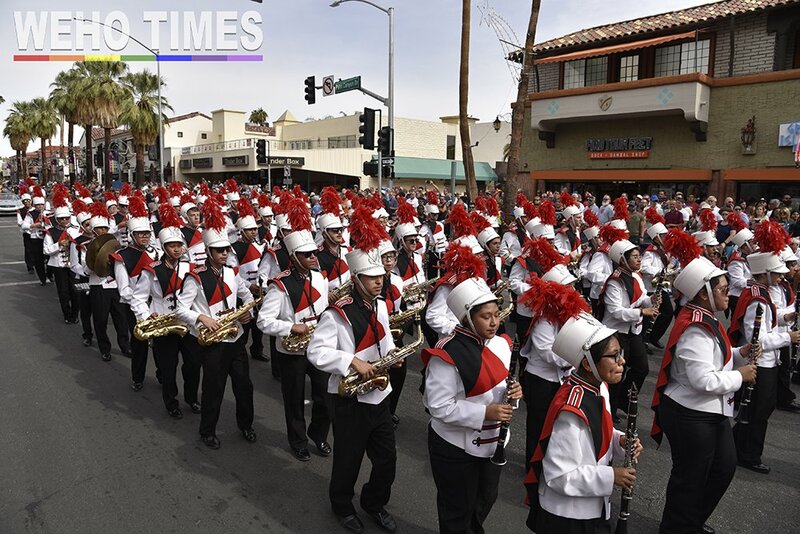 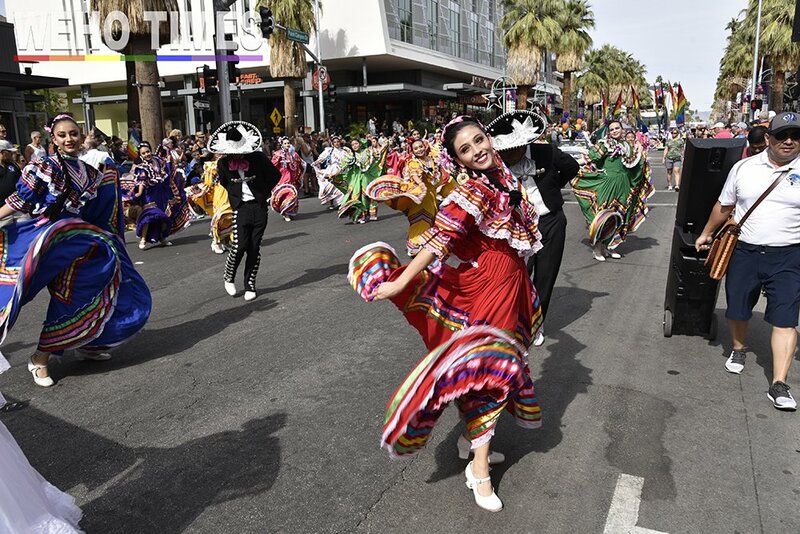 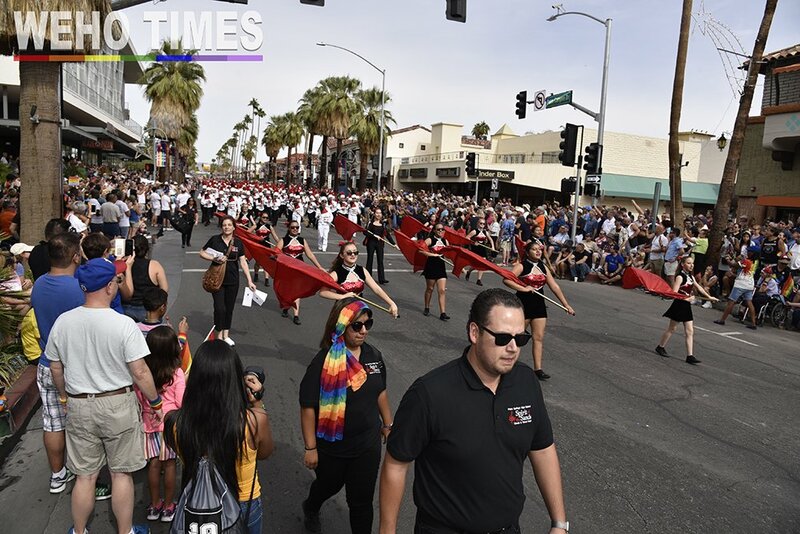 Over 200 groups and organizations enjoyed perfect temperatures during the two-hour parade which began at 10am and ended at approximately 12pm. 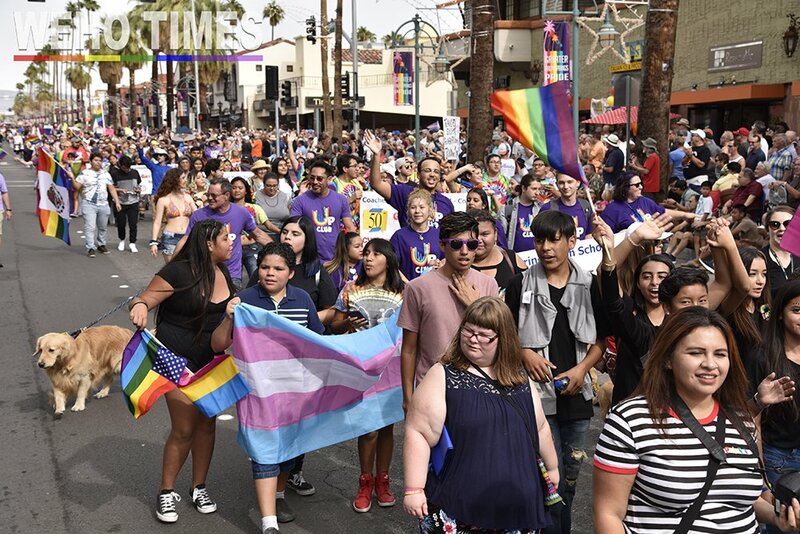 This year’s Pride theme was Youth Power for Change, dedicated to youth and all they’re doing to make the world a safer, more respectful place. 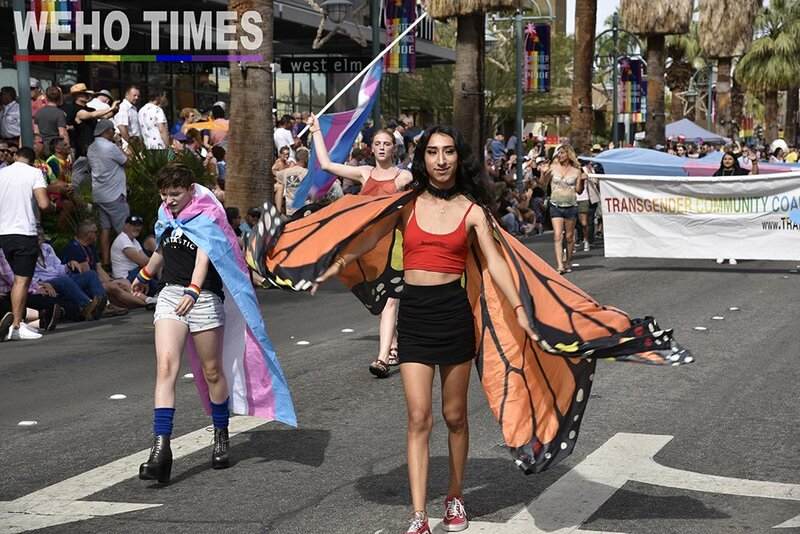 The theme was inspired by youth-led movement-building efforts that are awakening critical conversations for social change. 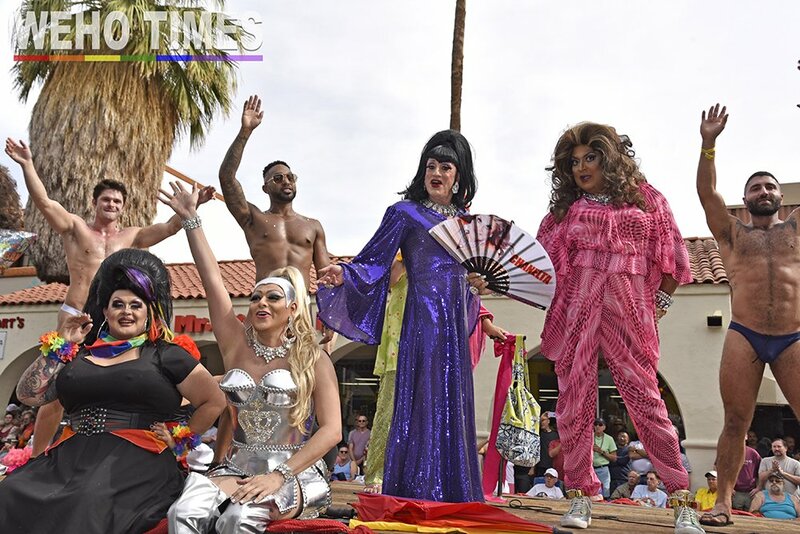 This year’s lineup hosted a diverse group of young and eclectic artists including dancers, singers, musicians, activists, comedians and DJs. 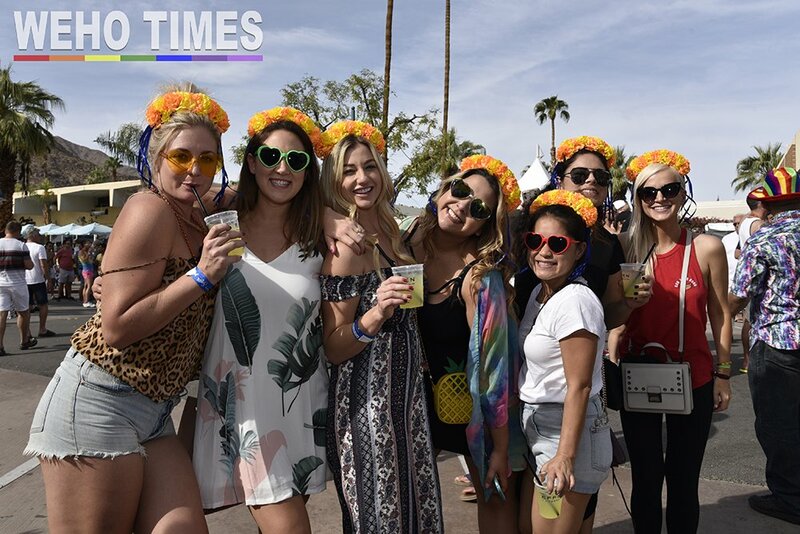 The free two-day festival featured Madame Gandhi, LA based electronic music artist and activist who produces music that elevates and celebrates the female voice. 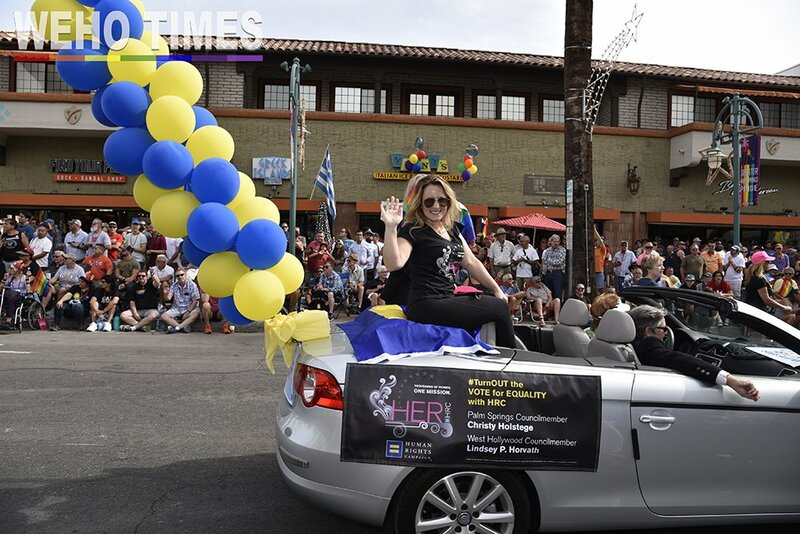 She performed her hit song “The Future is Female” from her EP “Voices”. 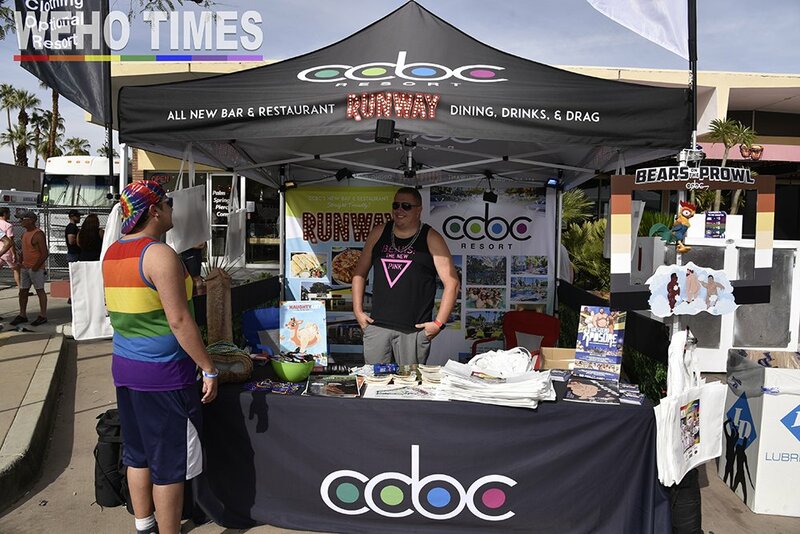 Palm Springs’ favorite, GayC/DC, the world’s only all-gay tribute to AC/DC returned to Palm Springs Pride 2018. 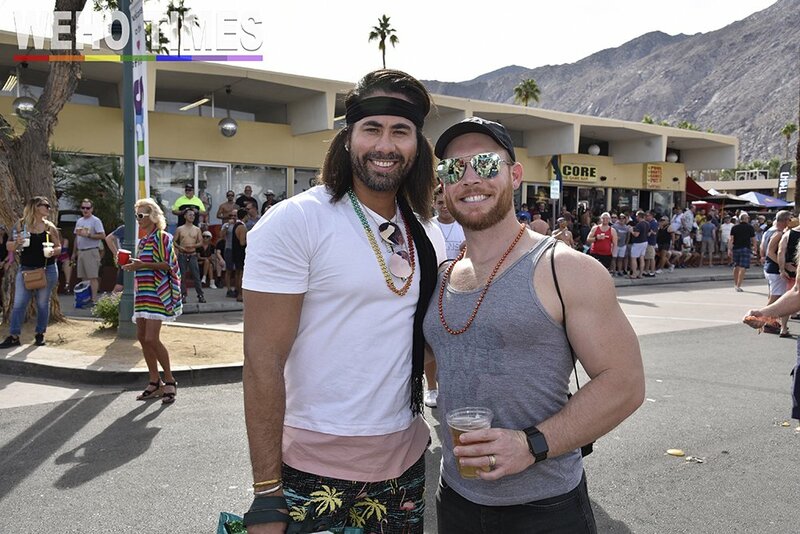 LA pop singer and dancer Z LaLa, and Echo V, an out and proud LGBTQ+ Boy Band also returned to the desert. 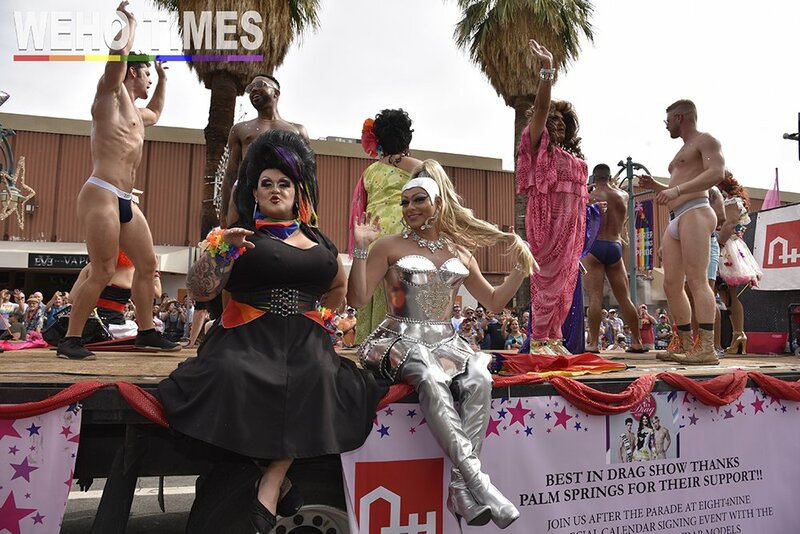 Chico’s Angels, the three beautiful and comedic Latina drag queens who work for pennies for a speaker box, were seen on the Pride Parade on the Best in Drag float with sister drag queens and half naked men. 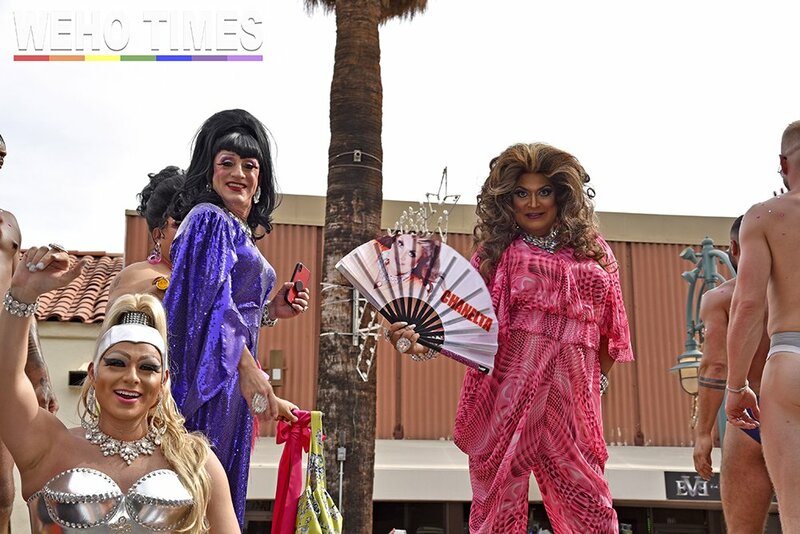 The Angels also joined the main stage at the Festival later in the festivities. 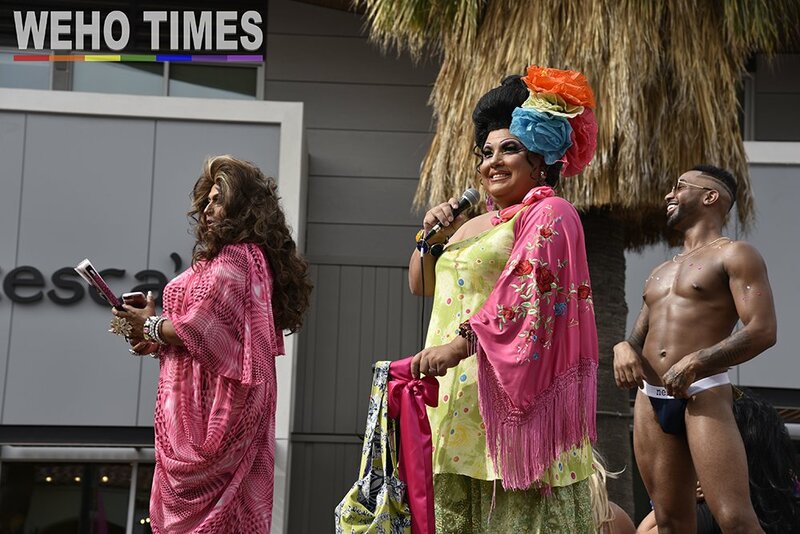 Best in Drag Aid For AIDS, a program of Alliance for Housing and Healing was among many of the different non-profits present that day. 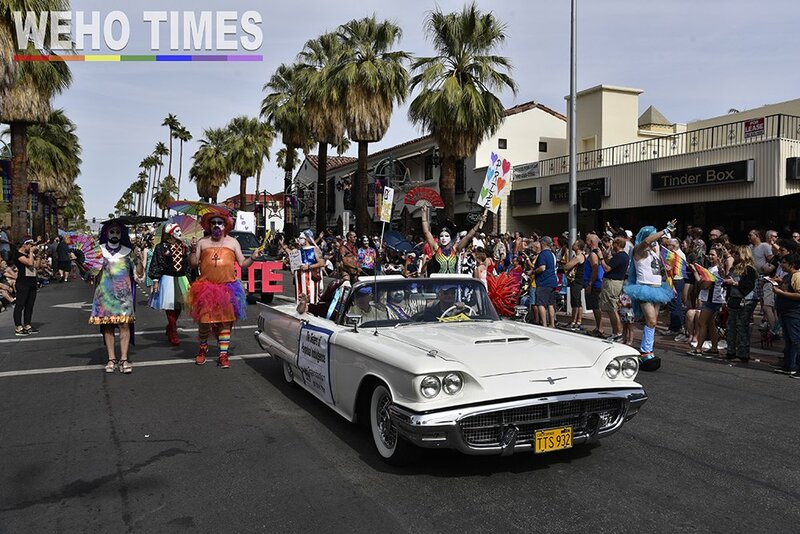 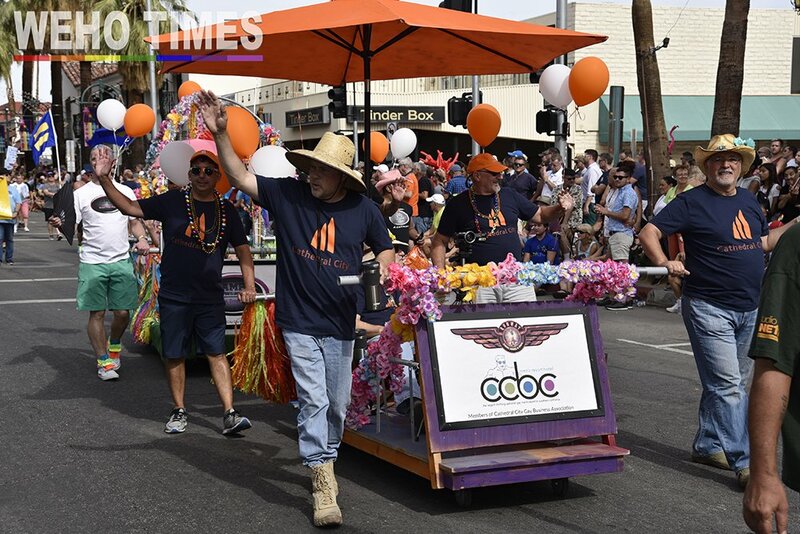 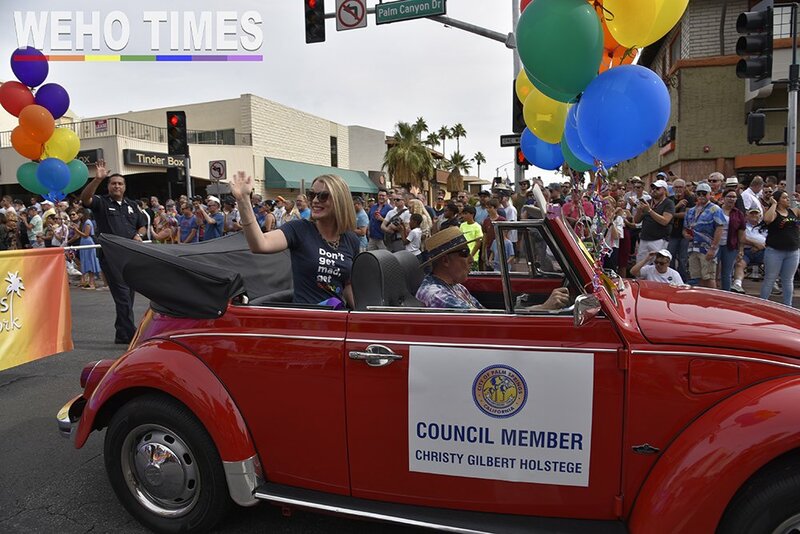 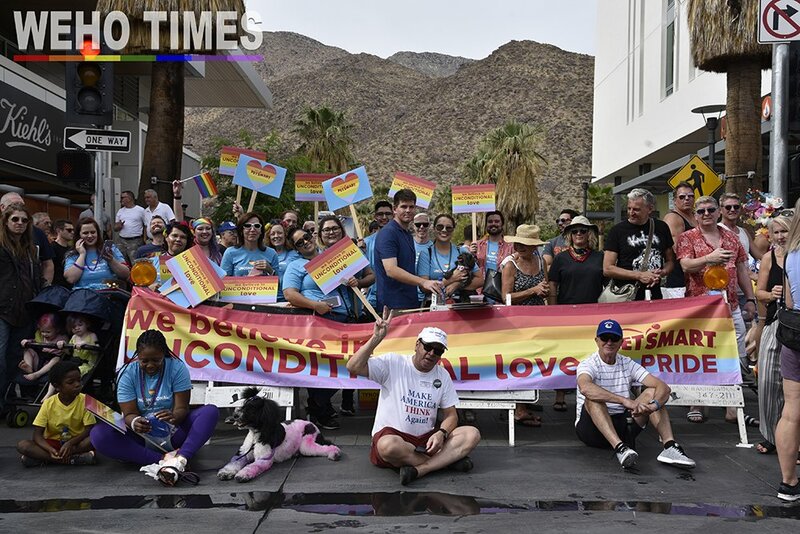 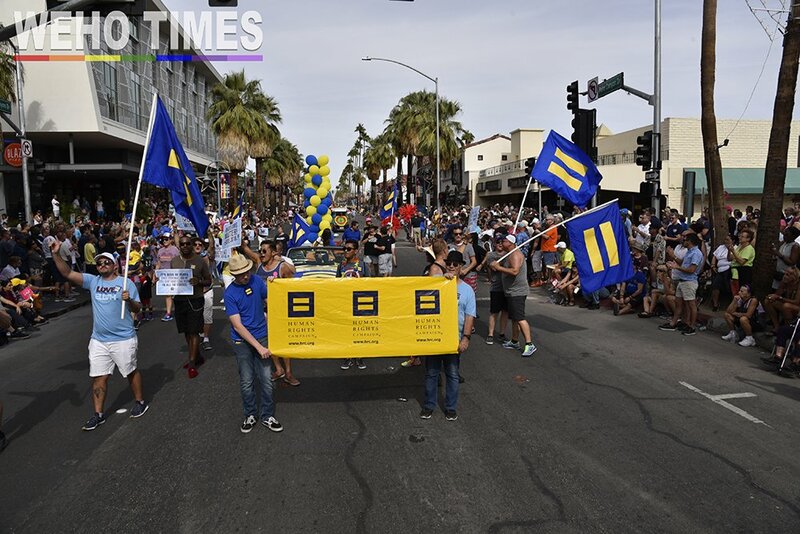 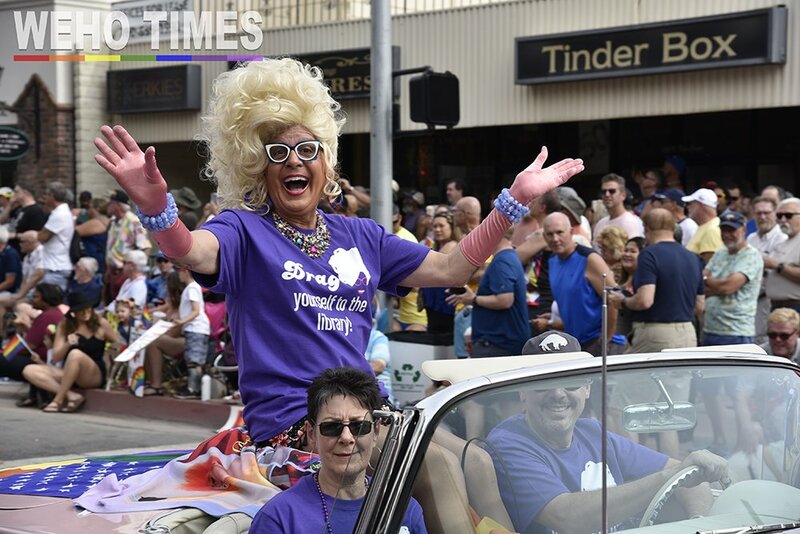 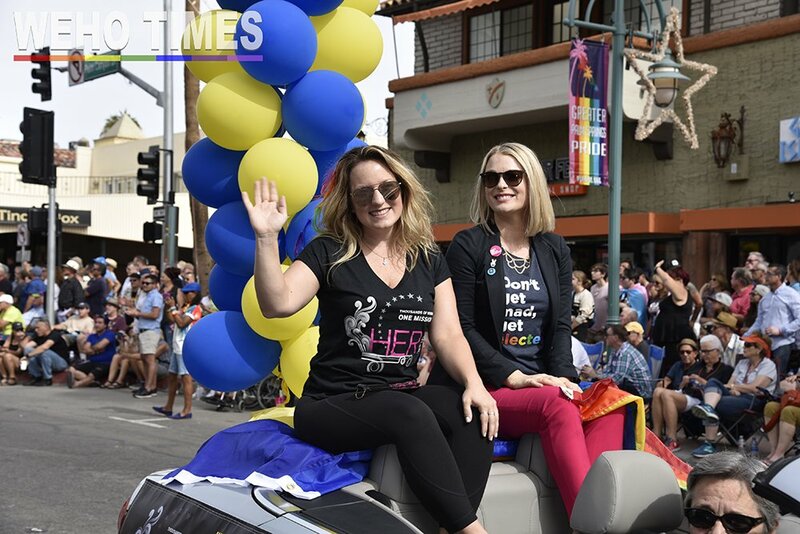 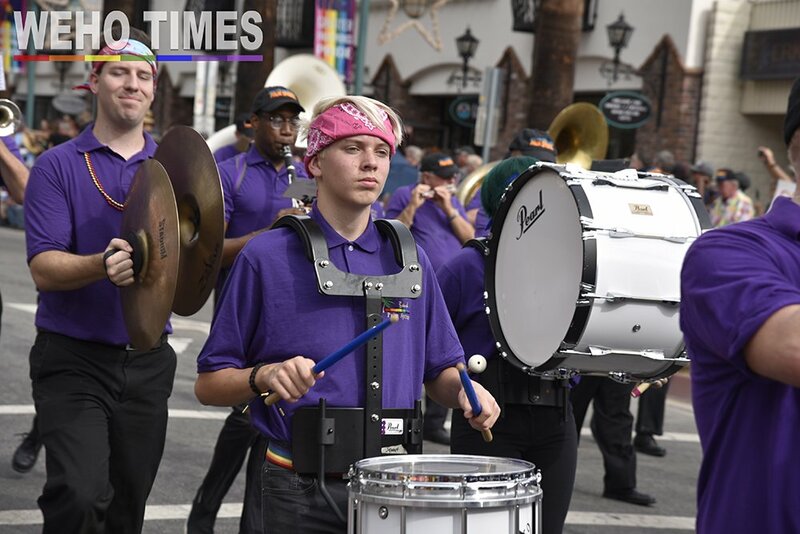 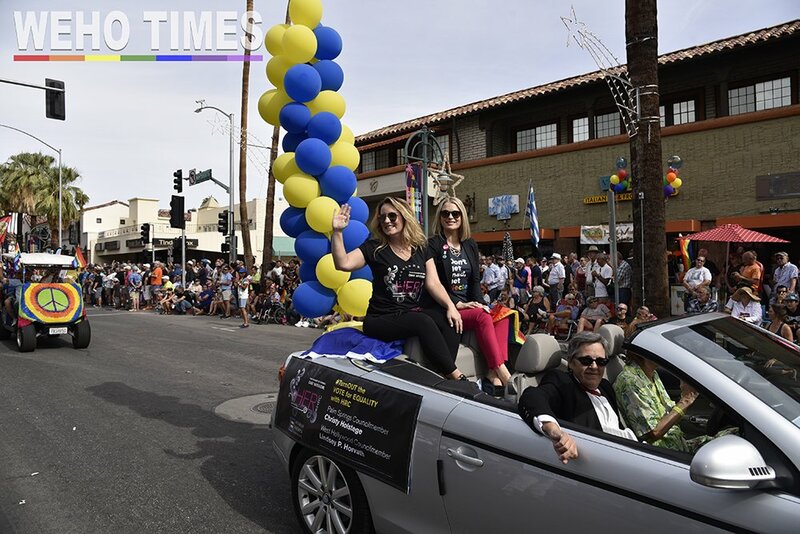 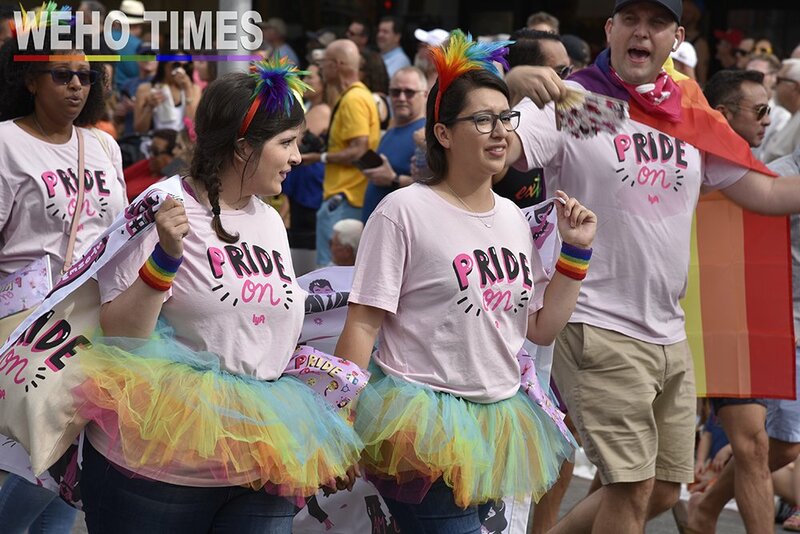 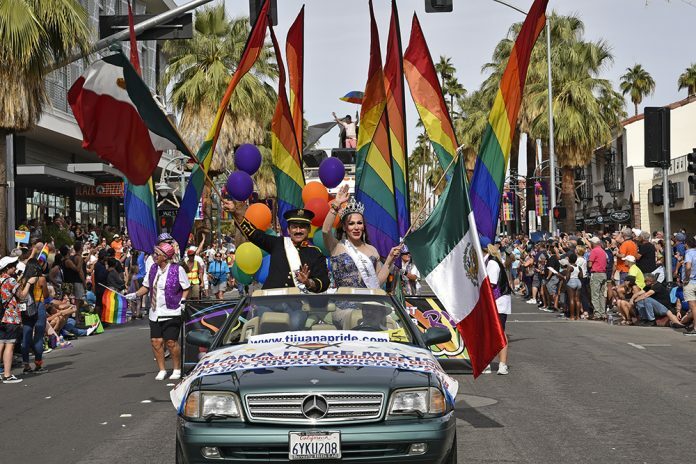 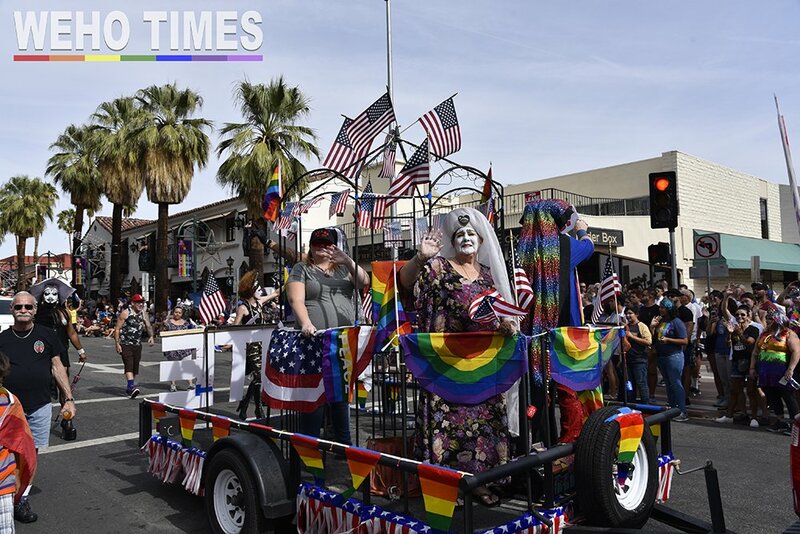 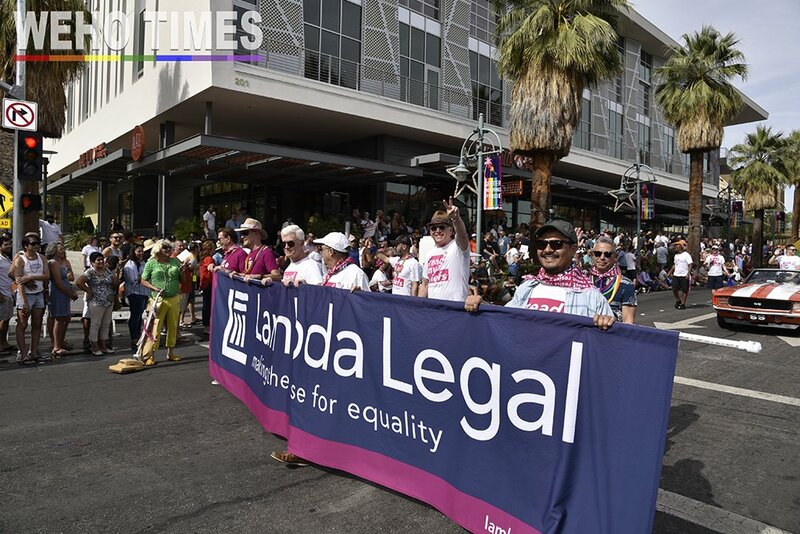 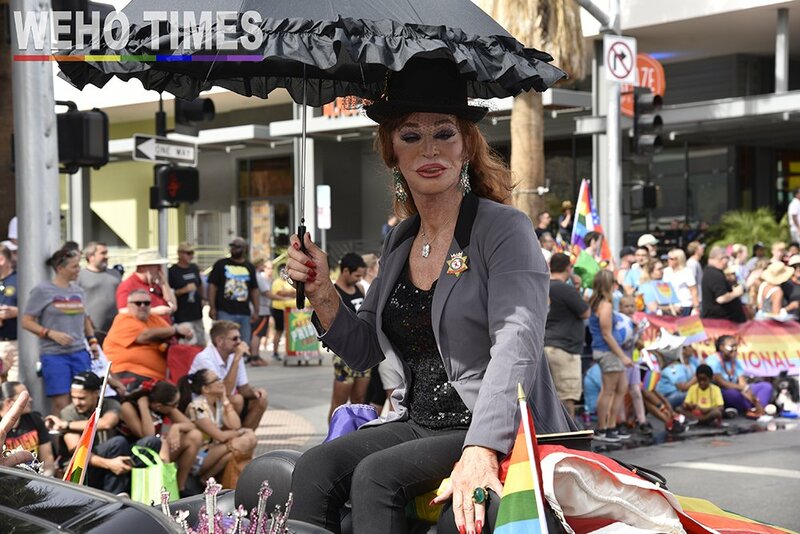 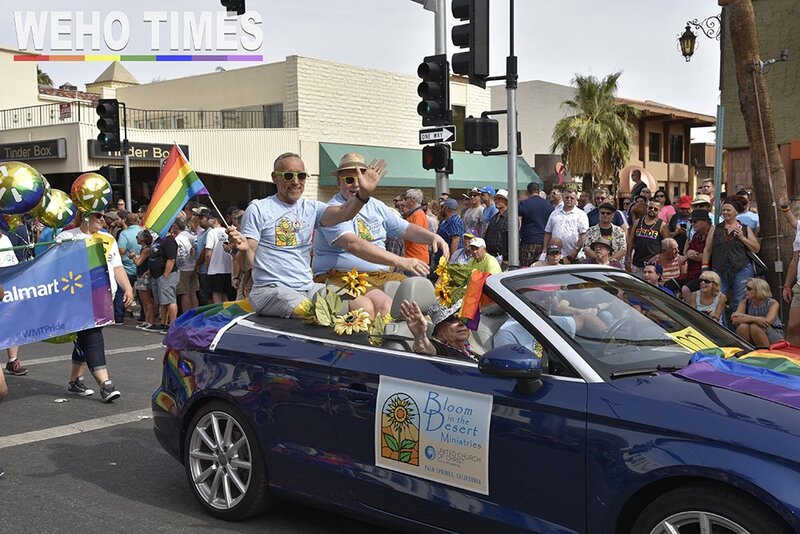 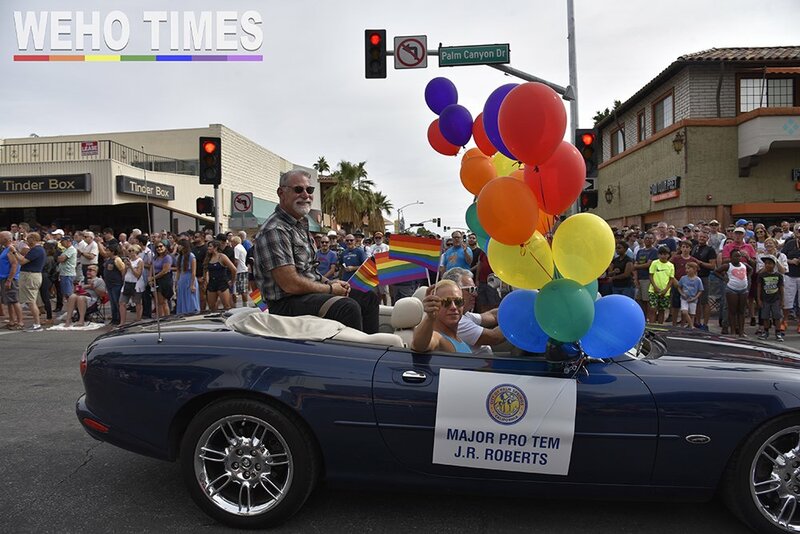 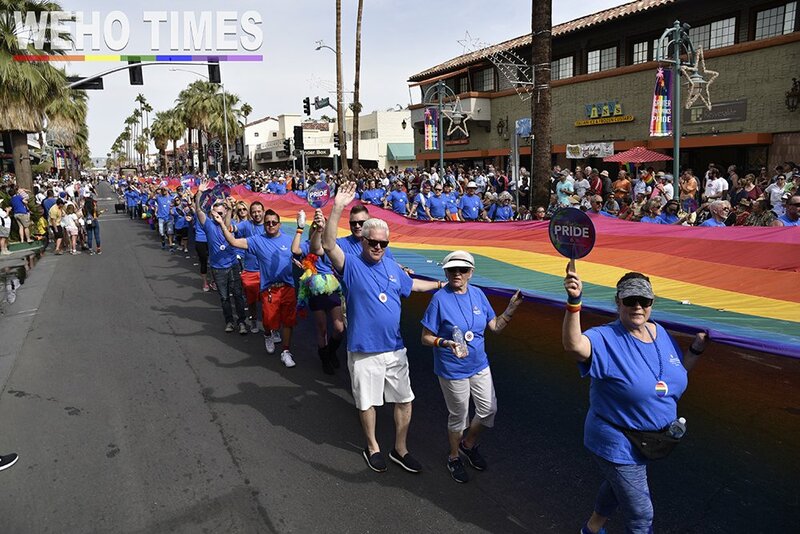 The LGBT Community Center of the Desert, PFLAG, Human Rights Campaign, Lambda Legal and more were among those at the parade. 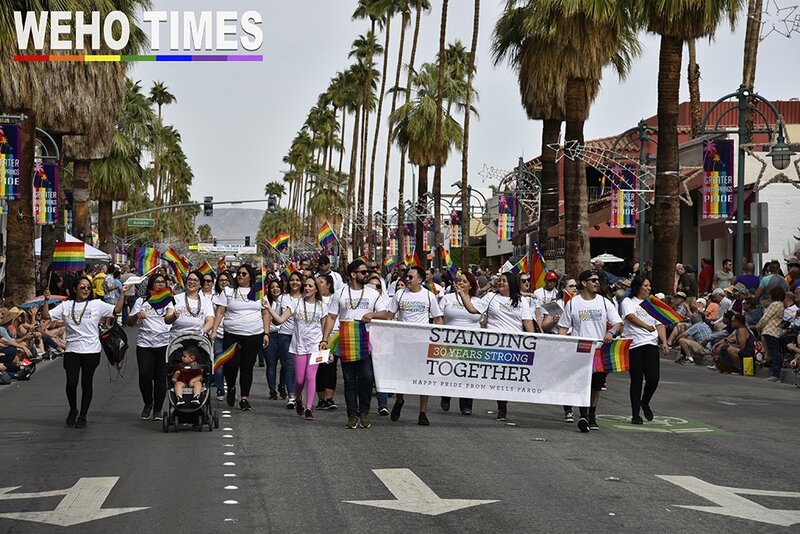 The biggest highlight of the day was definitely the Youth Power for Change. 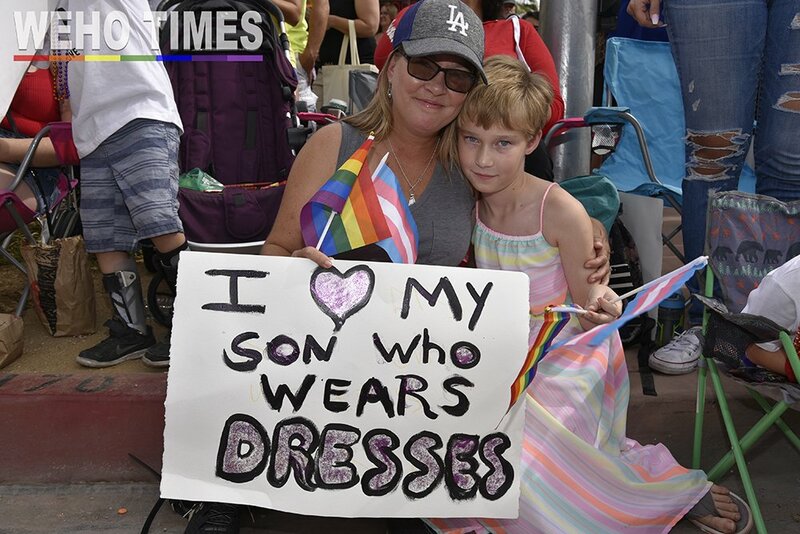 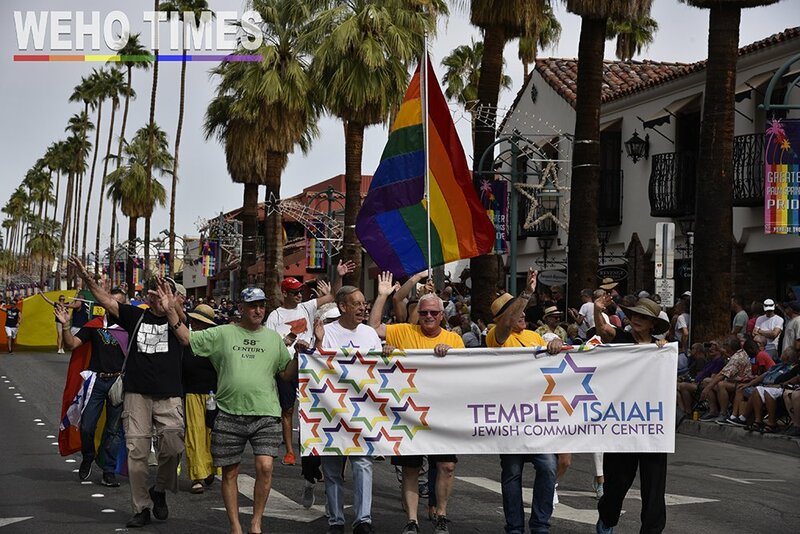 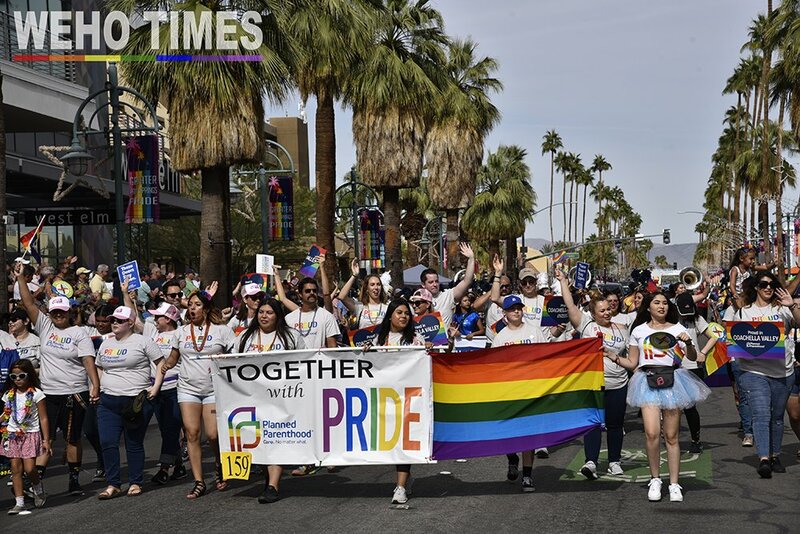 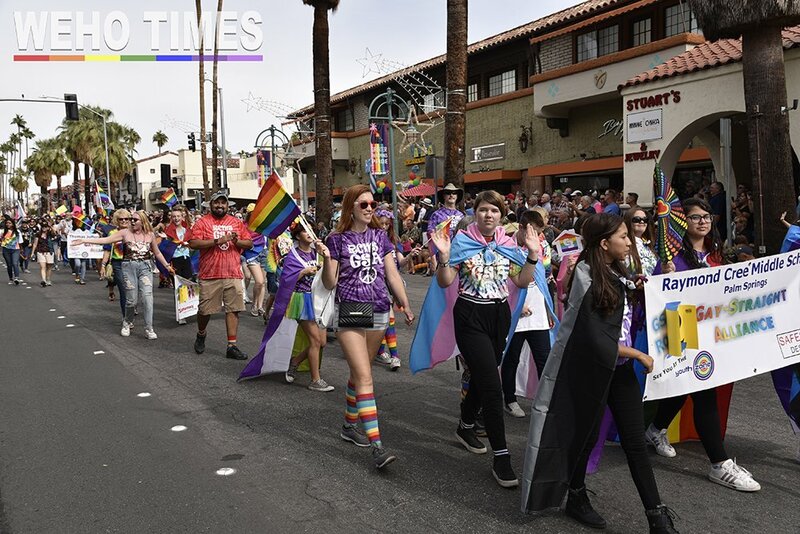 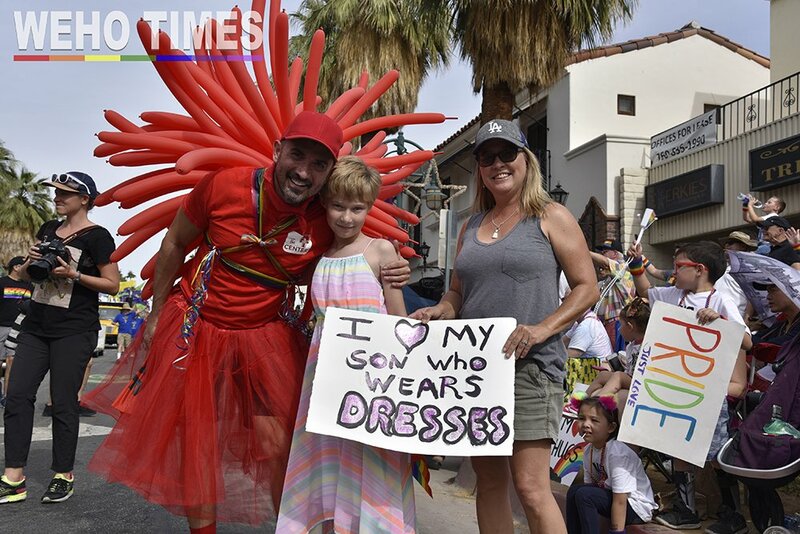 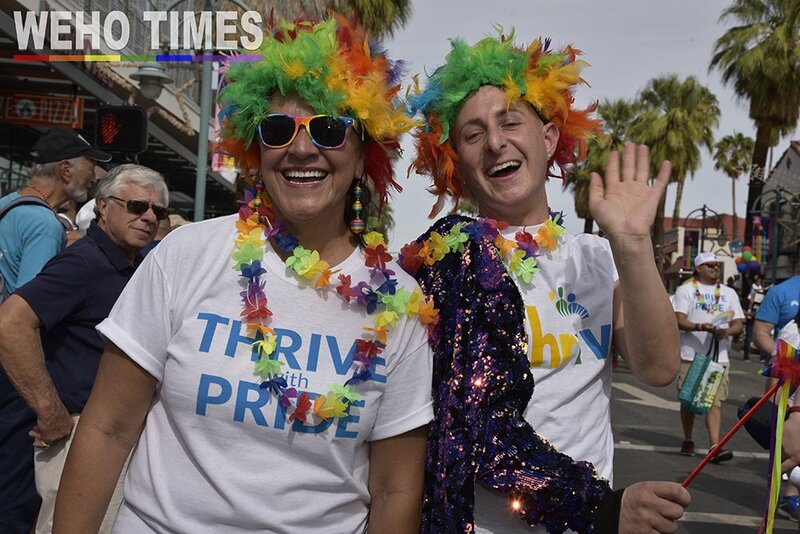 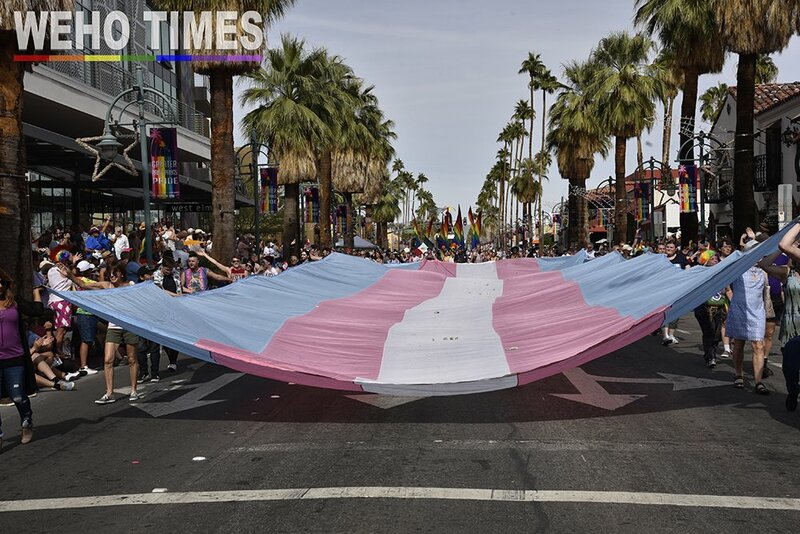 A massive crowd of students from approximately 20 schools schools from the Coachella Valley and High Desert, marched in support of the LGBT community. 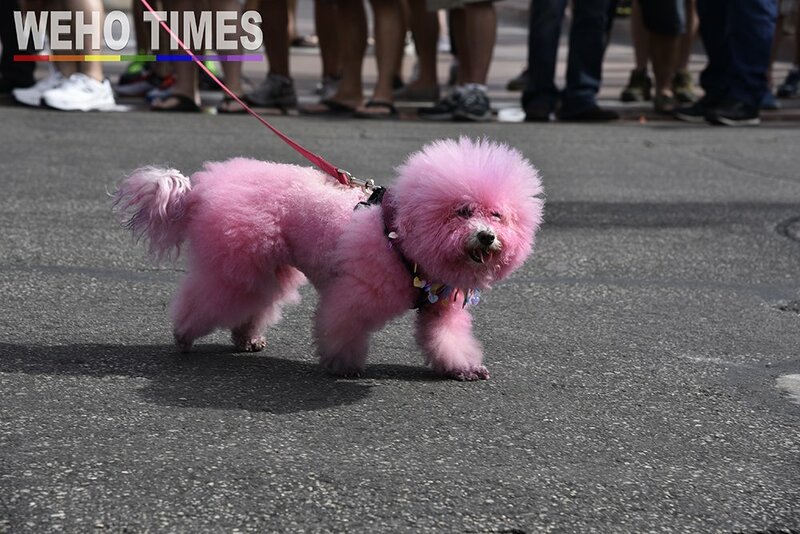 The event was political and at times commercial, but it was happy, it was loud, and it was proud.